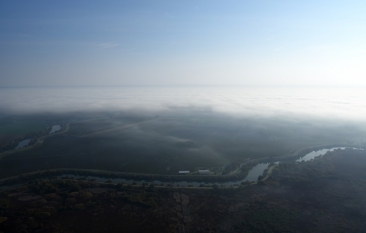 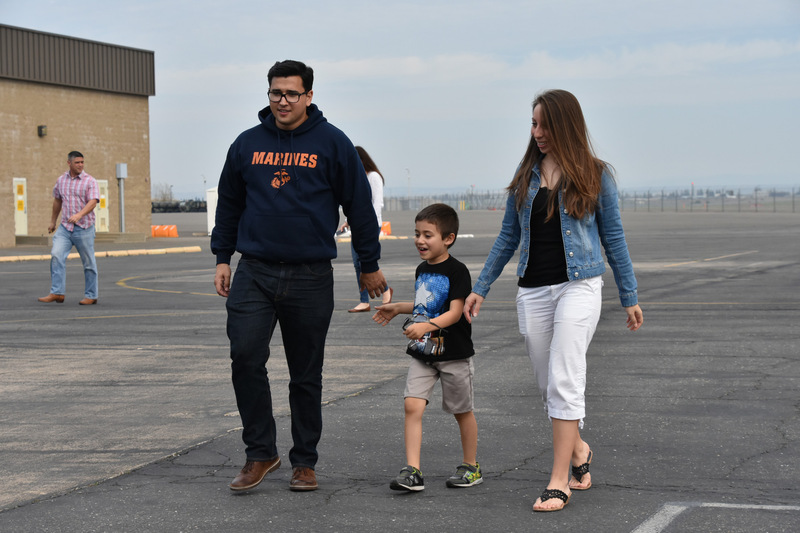 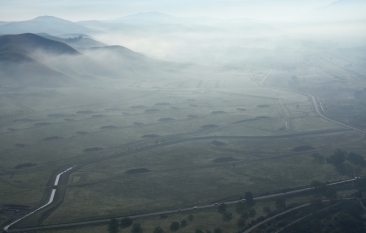 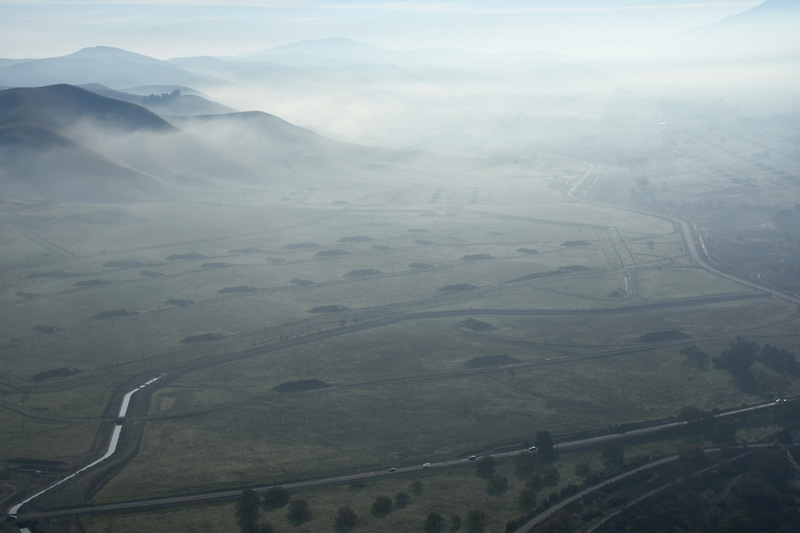 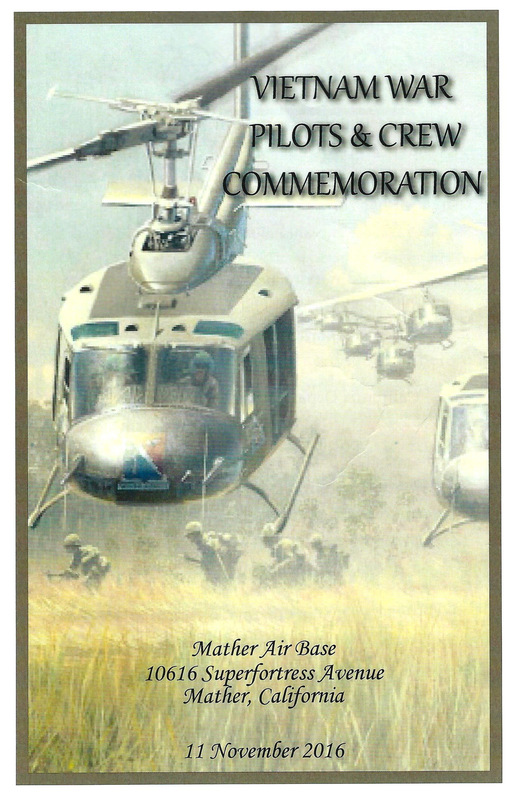 Mission: Mather Air Base 11 November 2016. 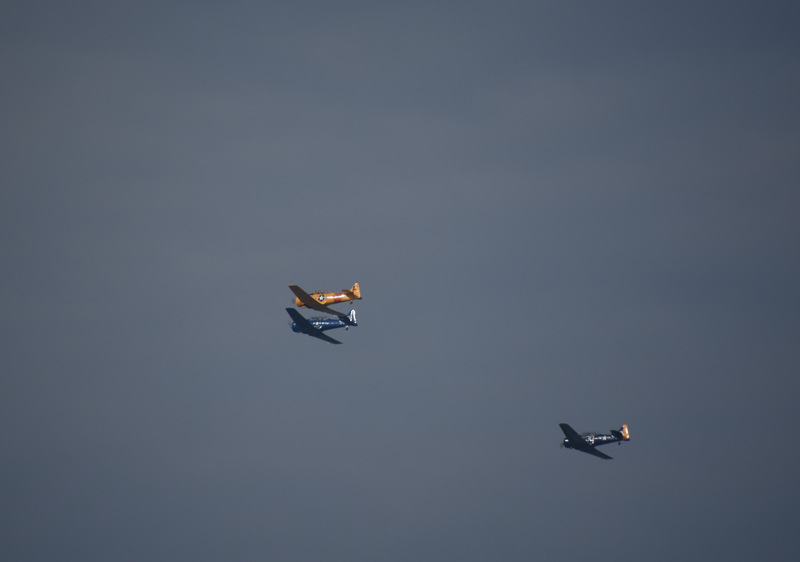 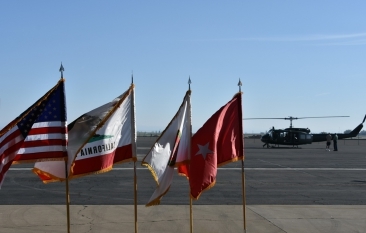 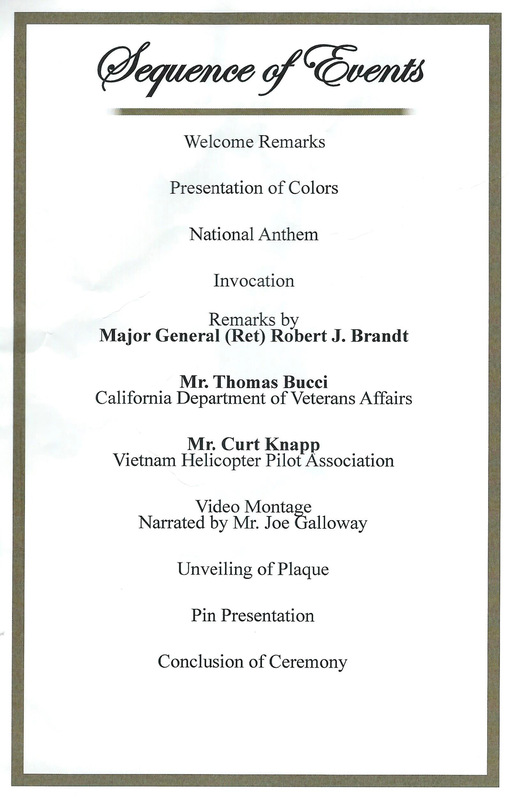 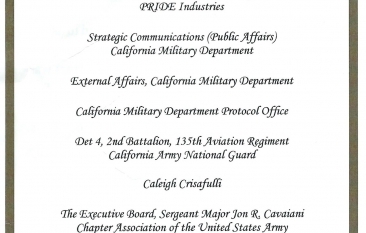 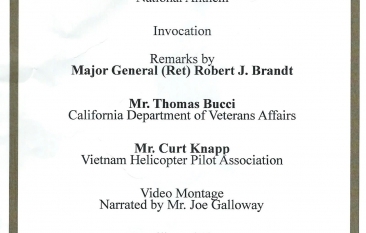 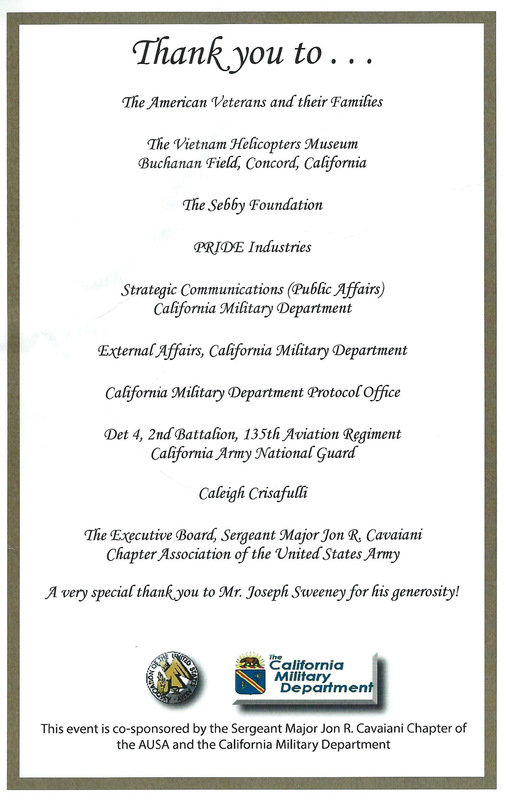 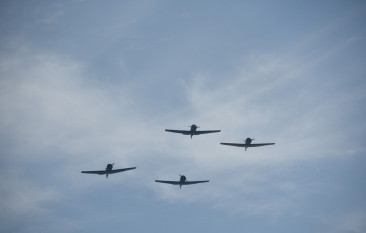 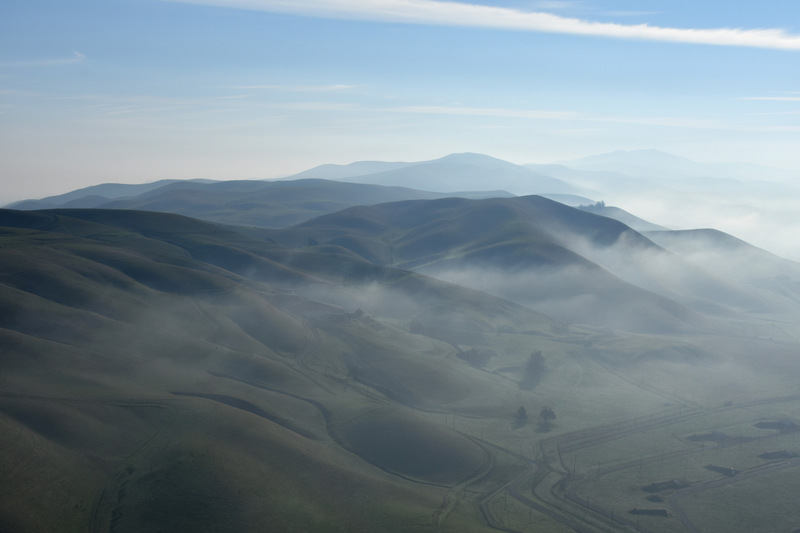 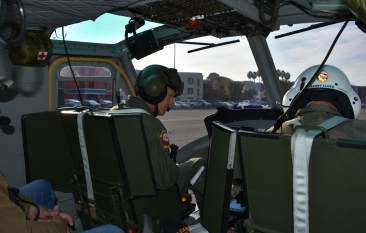 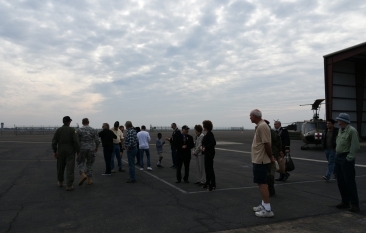 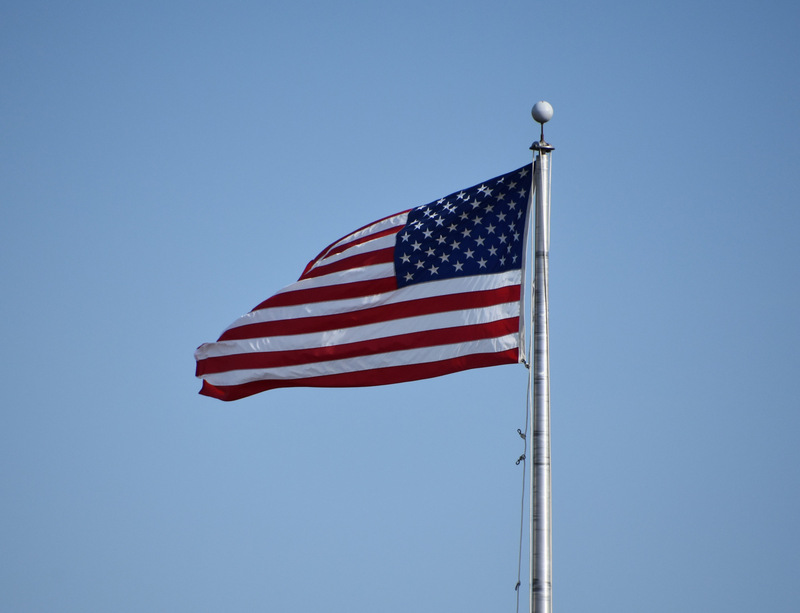 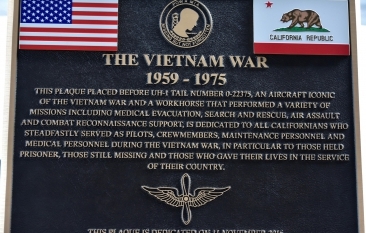 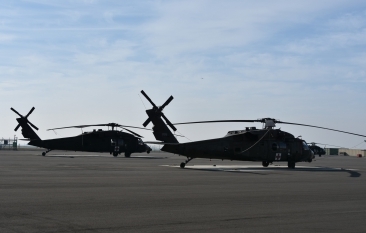 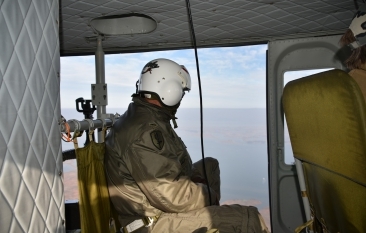 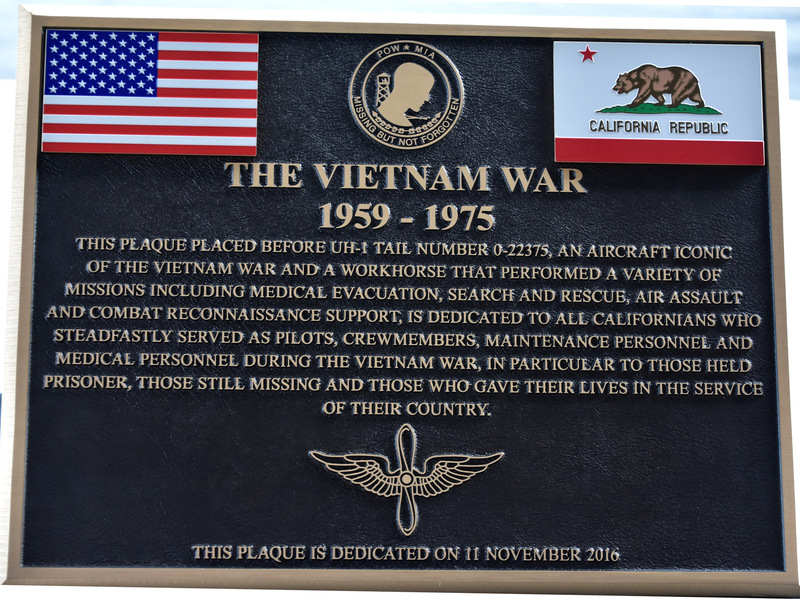 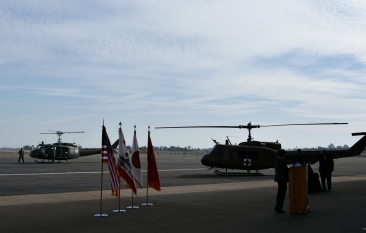 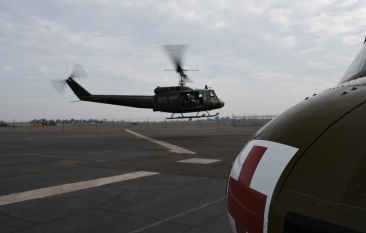 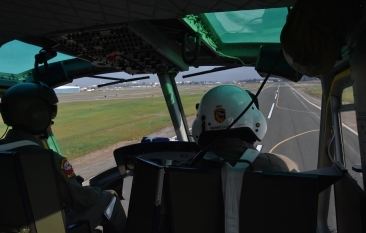 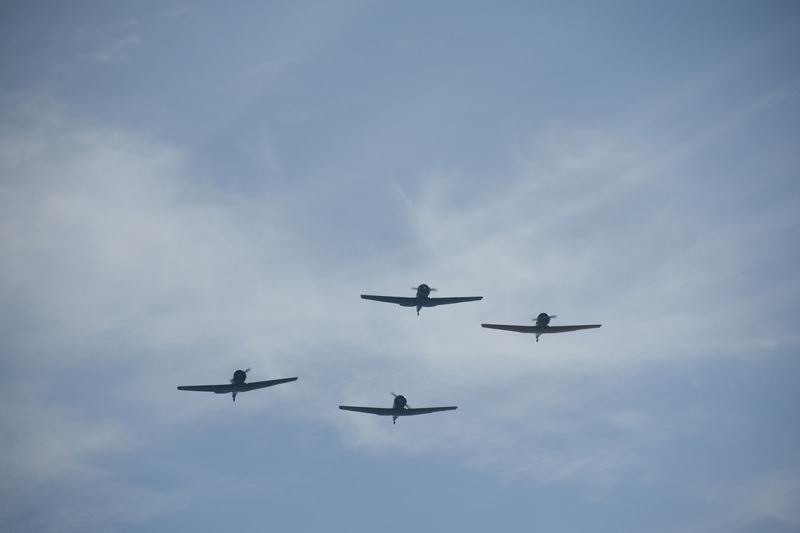 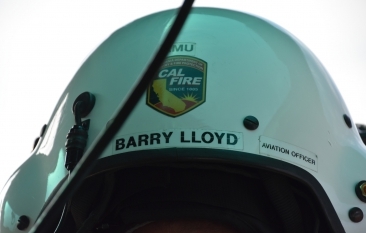 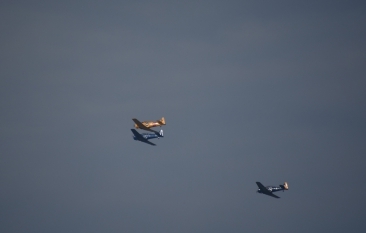 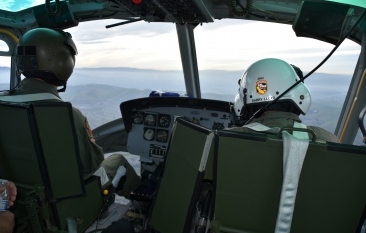 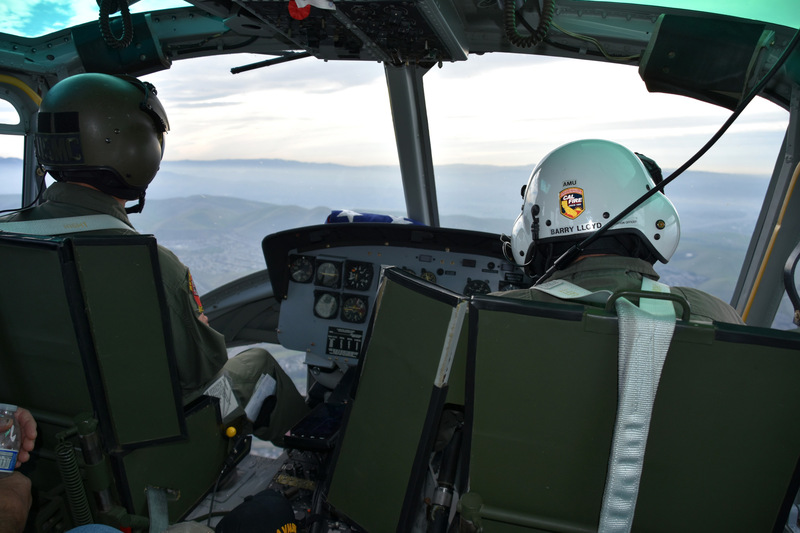 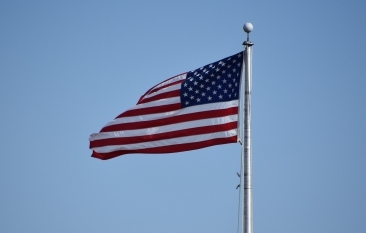 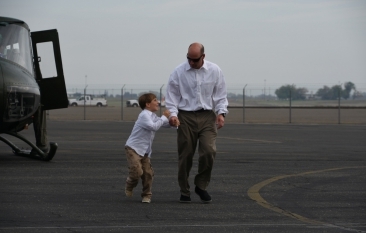 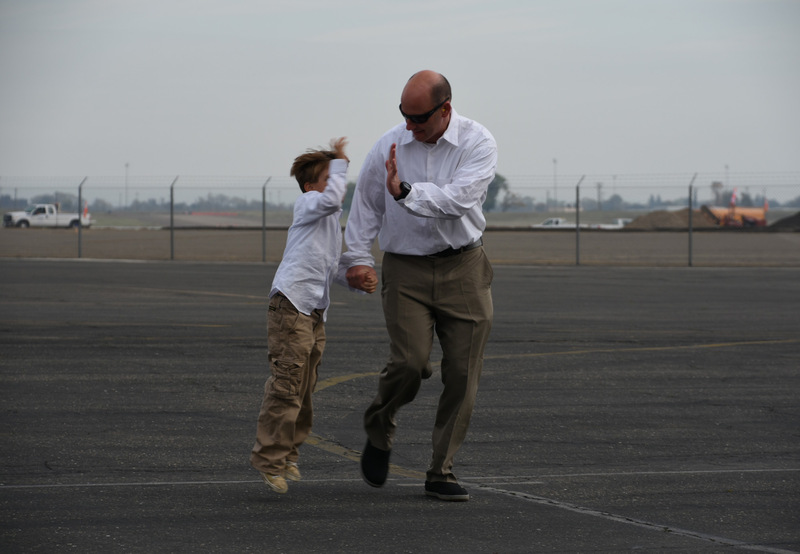 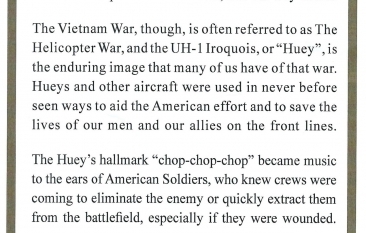 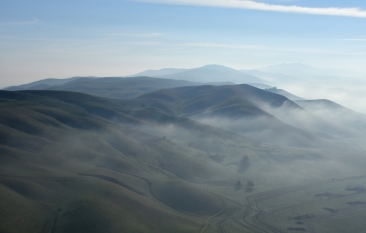 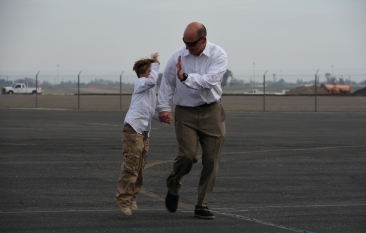 Honoring all Californians who served as pilots or crew members during the Vietnam War. 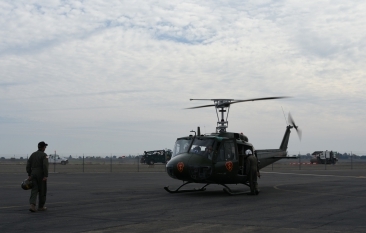 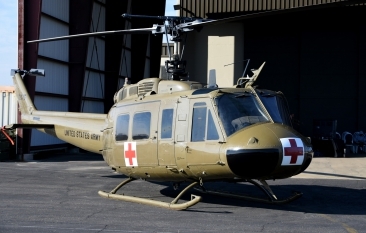 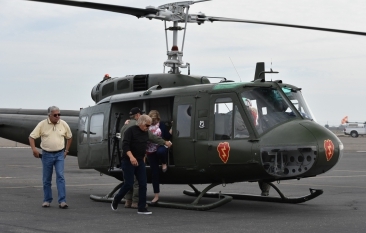 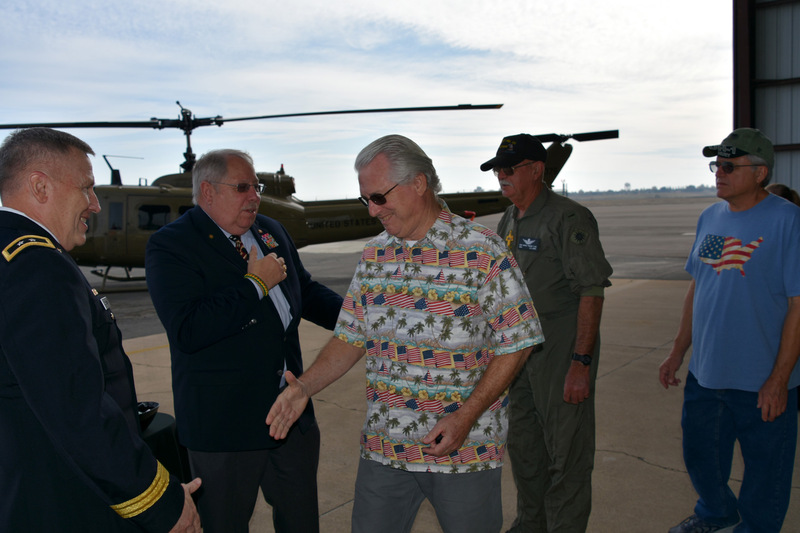 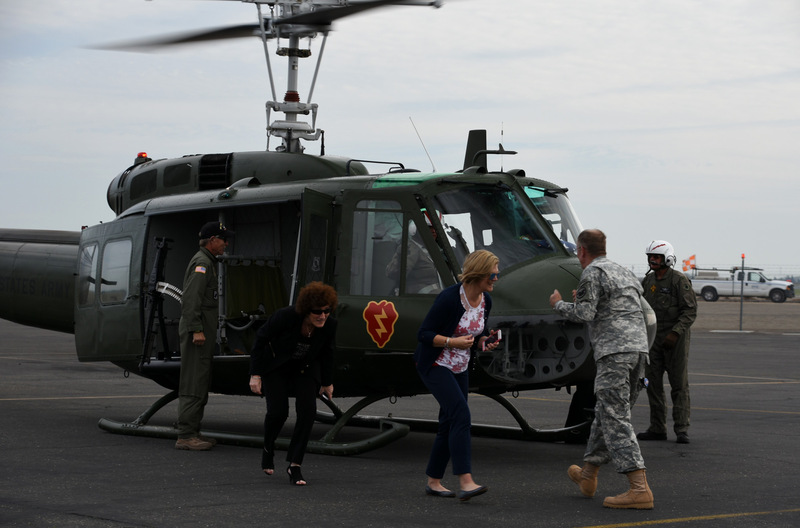 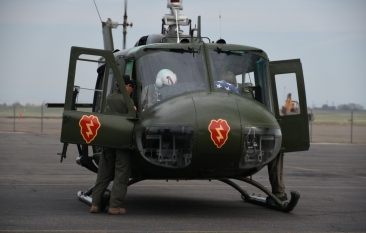 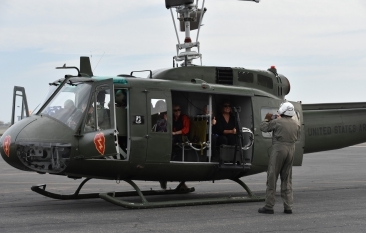 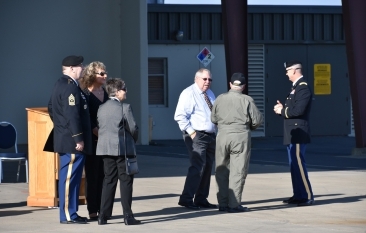 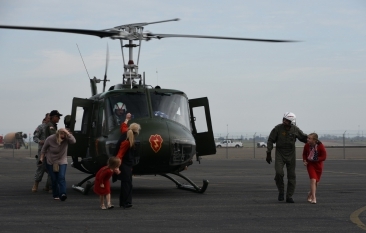 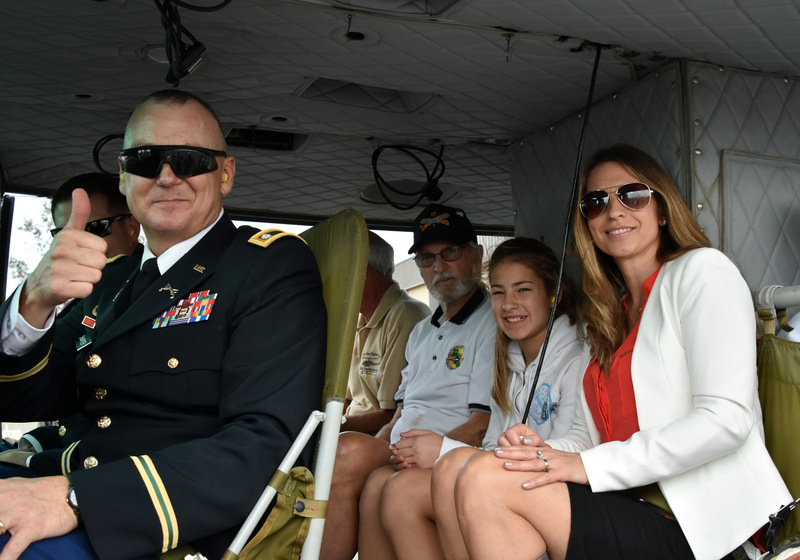 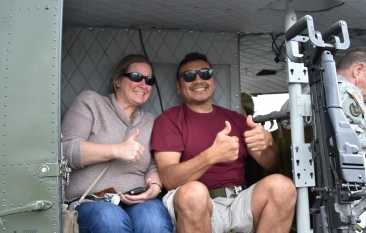 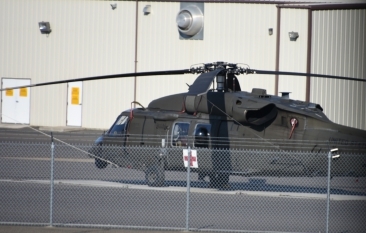 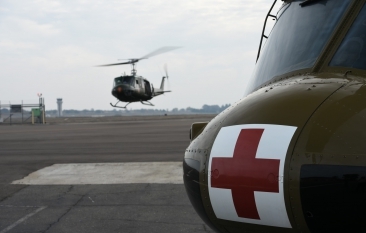 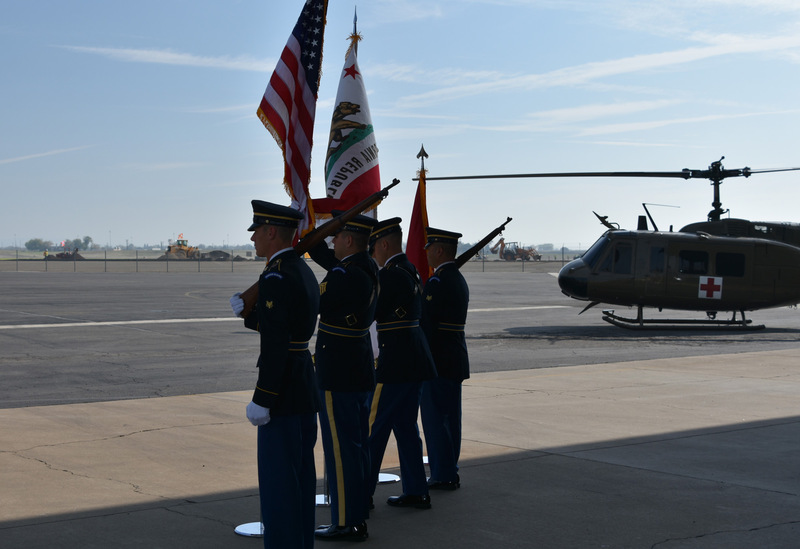 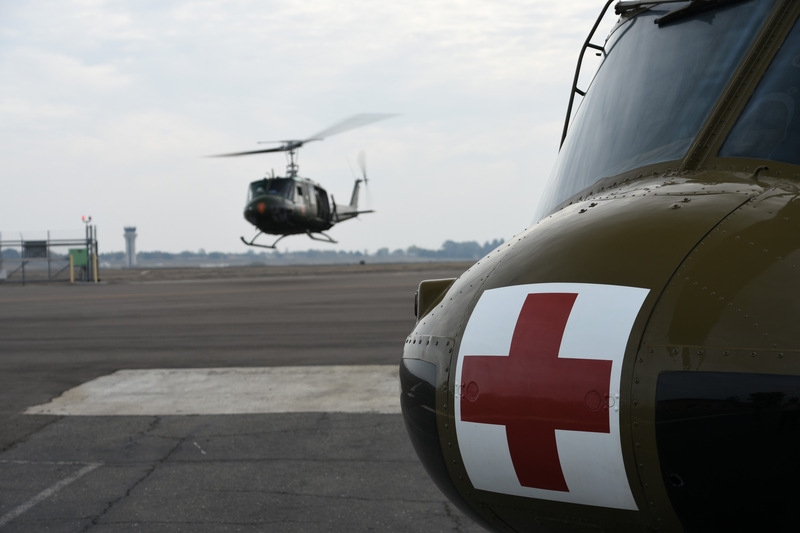 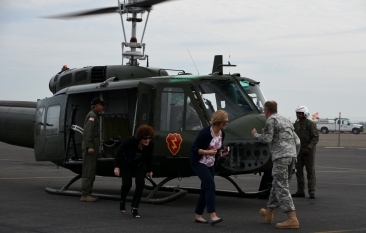 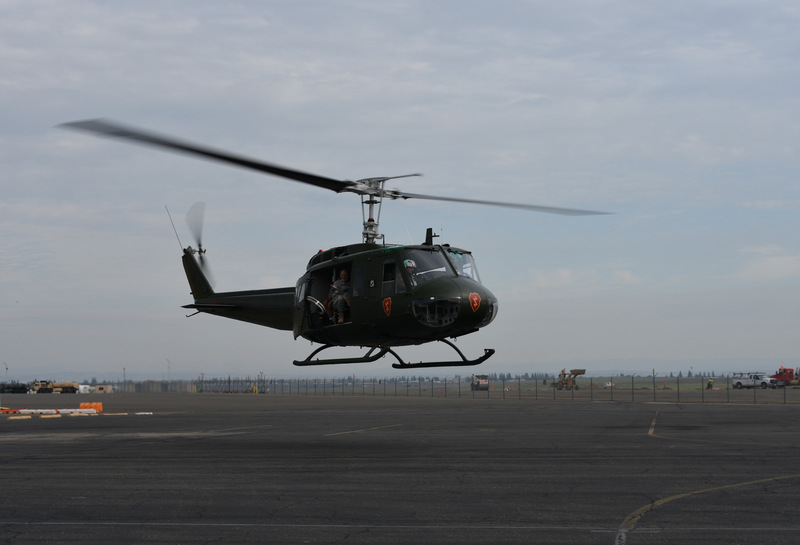 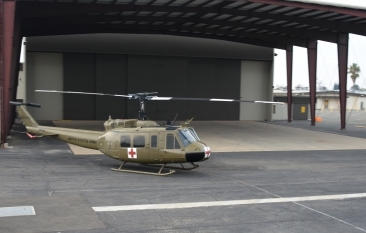 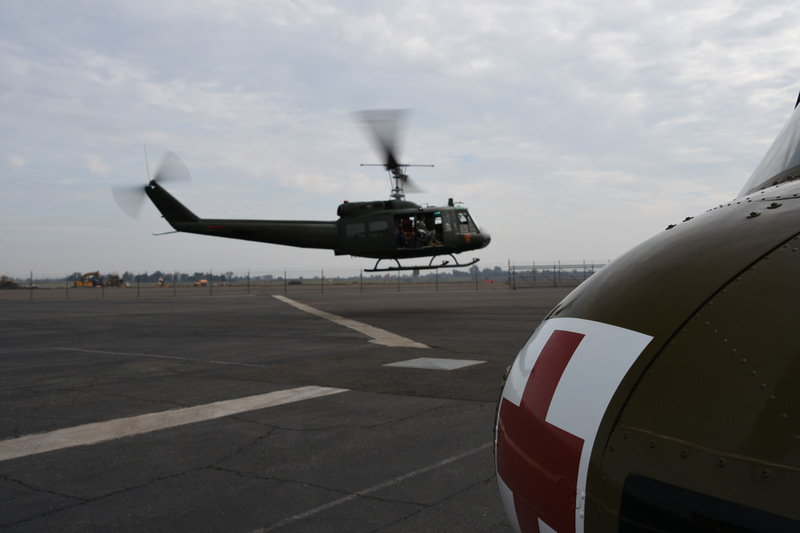 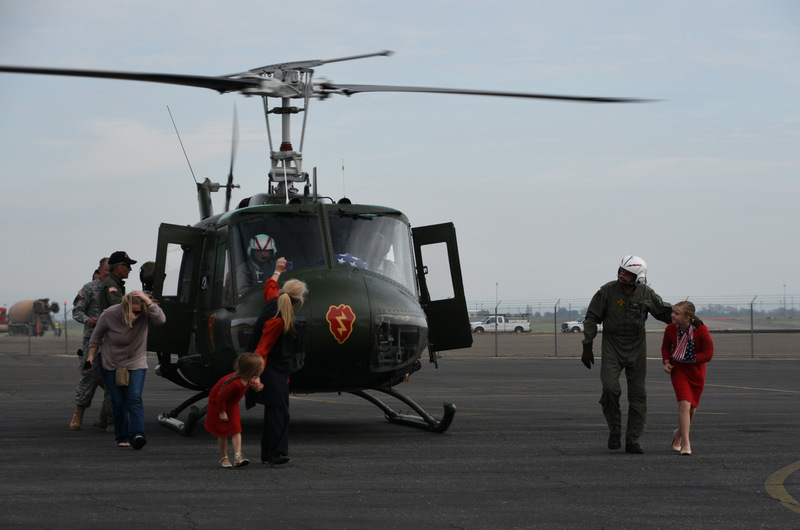 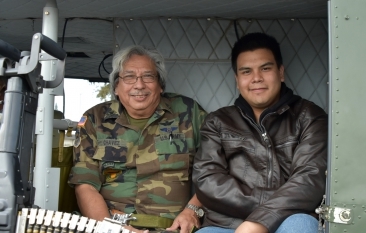 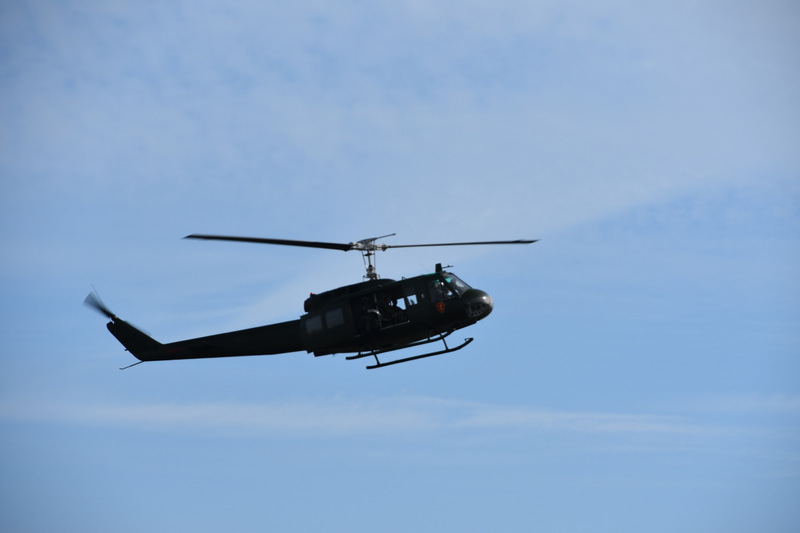 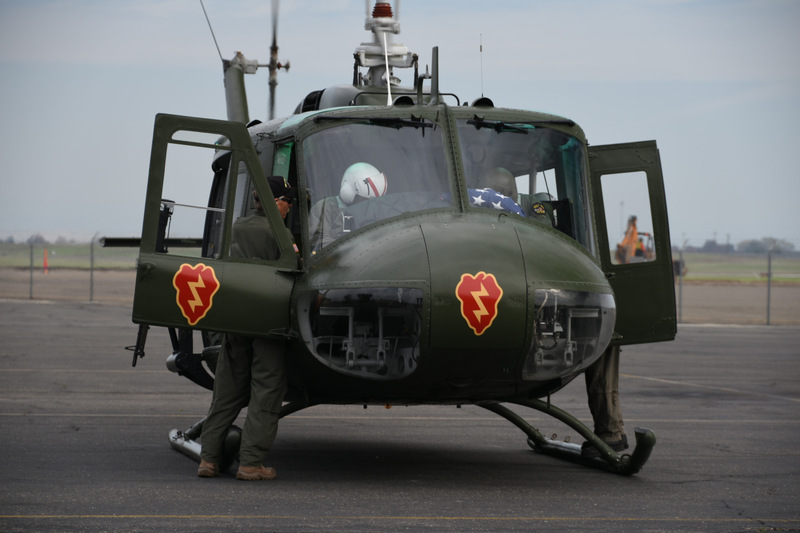 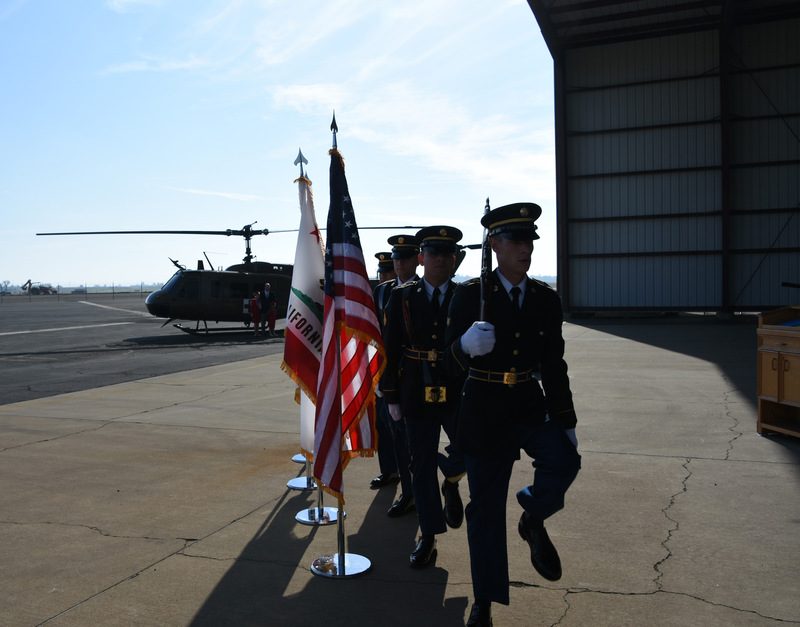 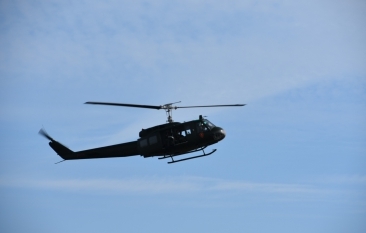 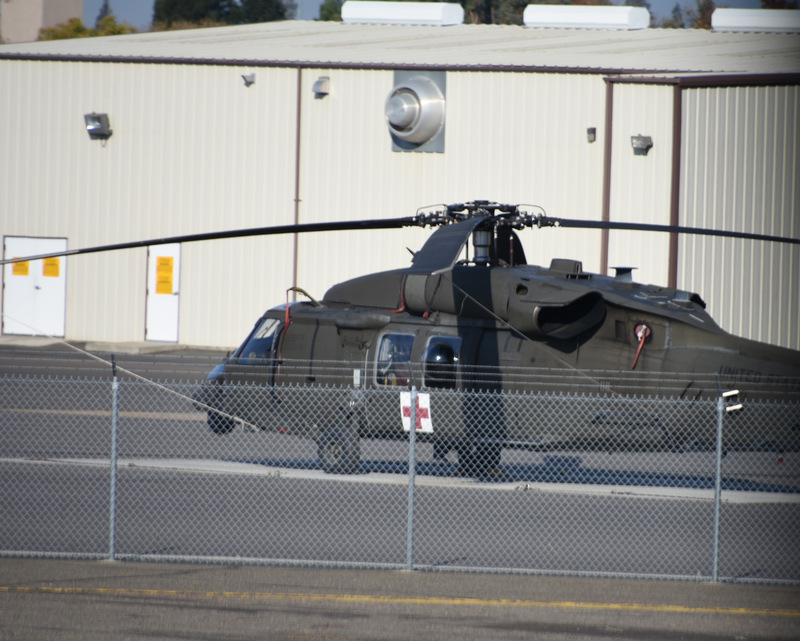 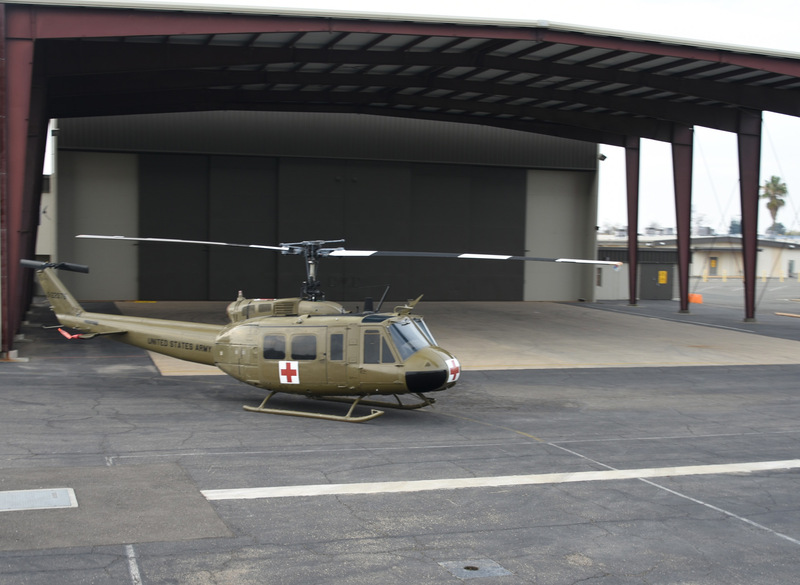 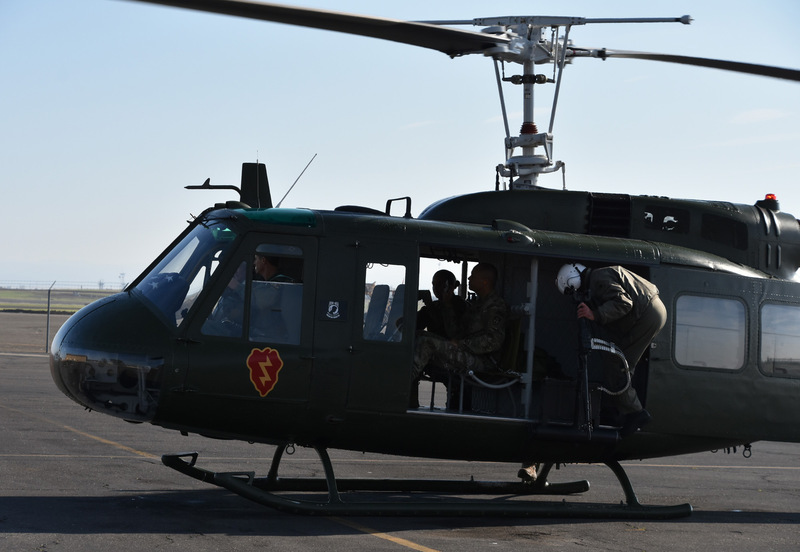 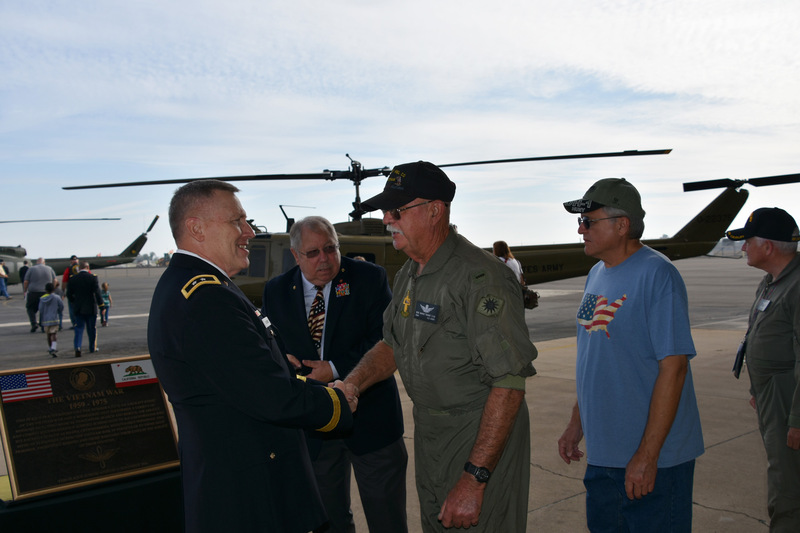 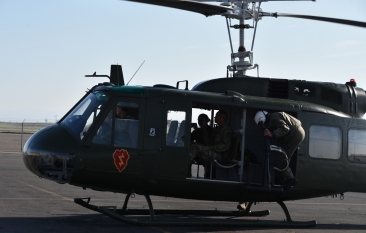 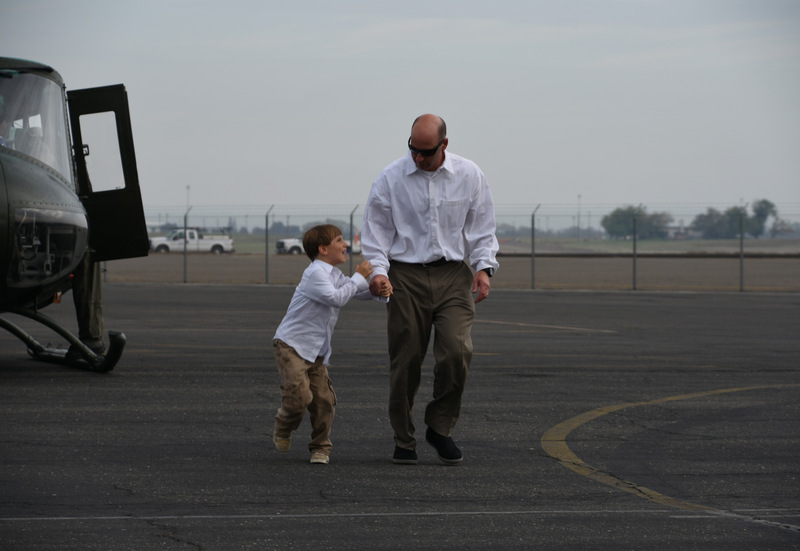 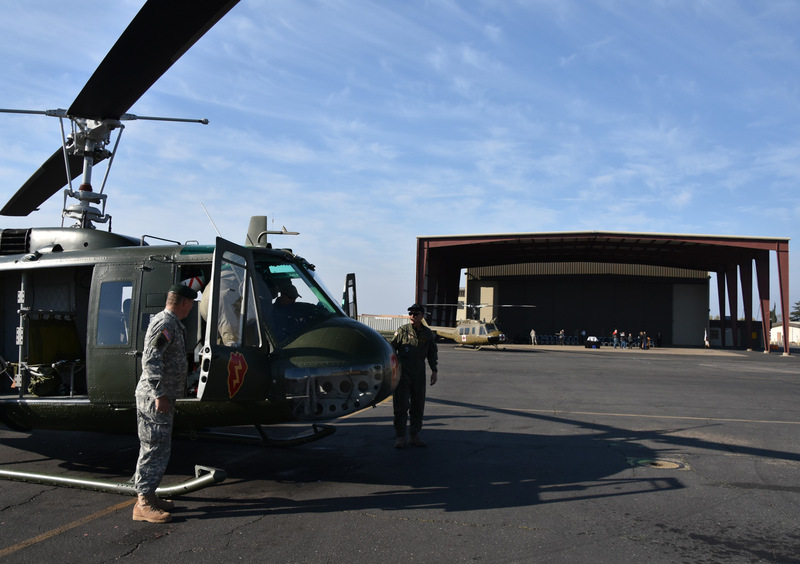 Our Vietnam War er UH-1H “Huey” helicopters flies to the ceremony with a Vietnam War Veteran helicopter pilot and Vietnam War Veterans on board. 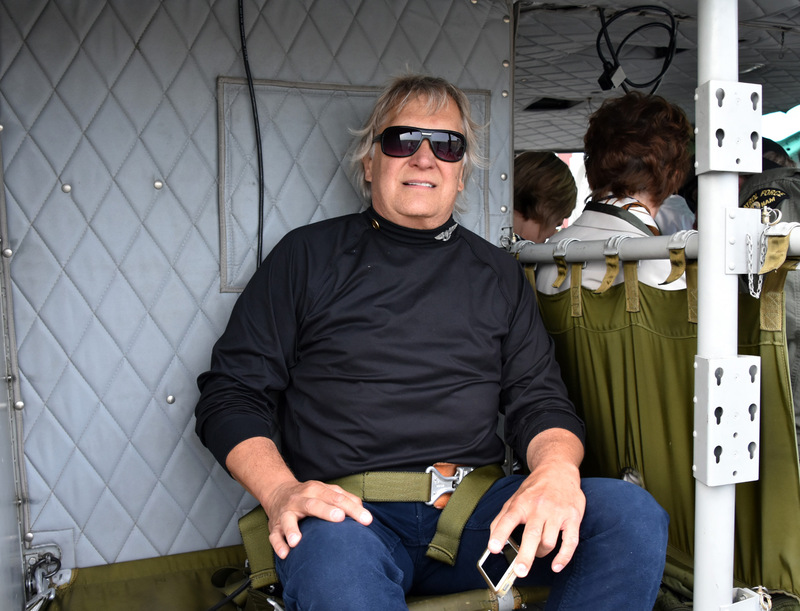 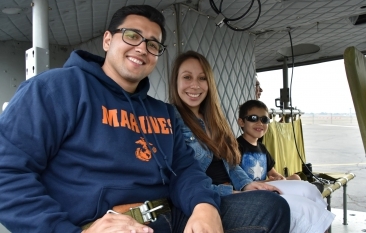 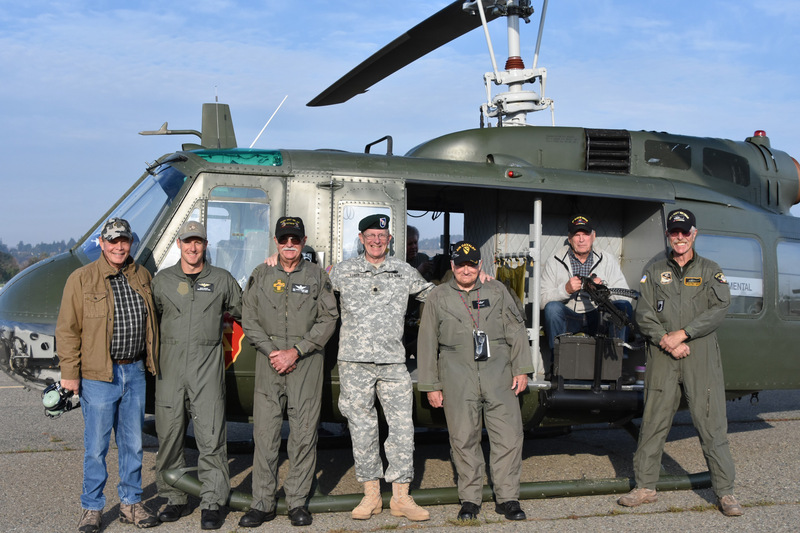 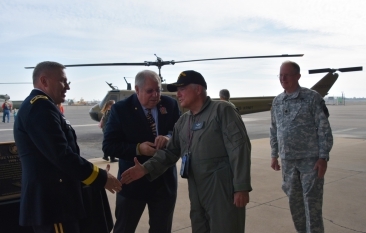 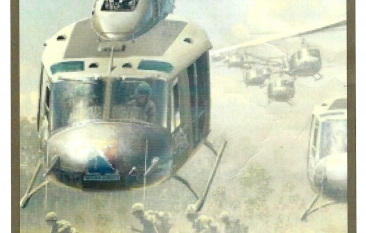 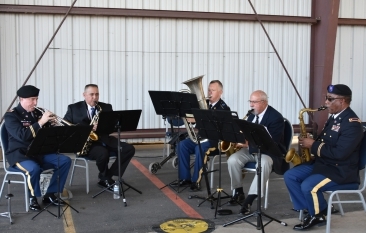 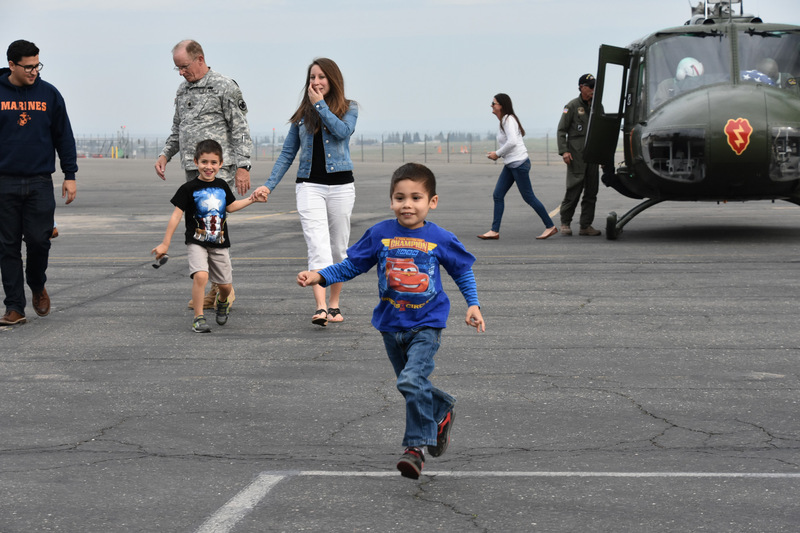 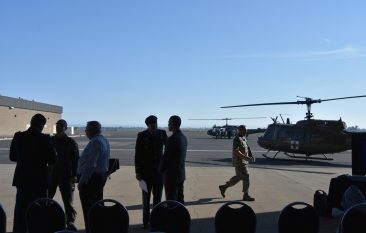 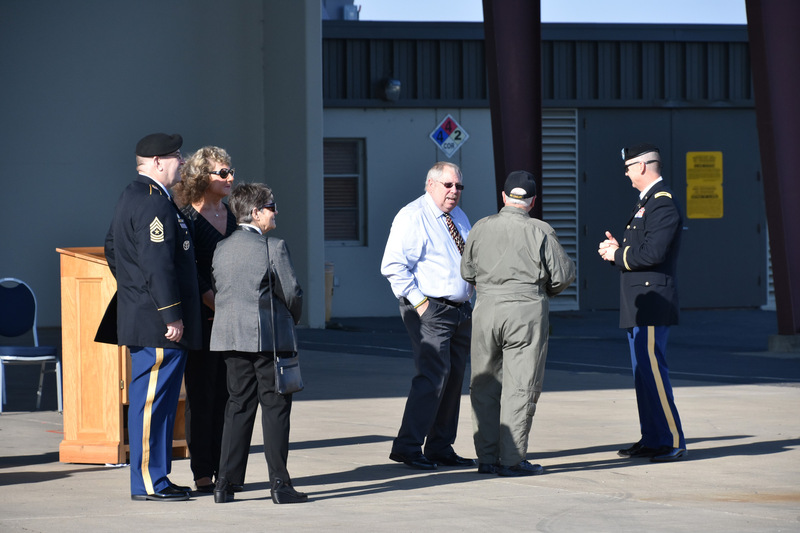 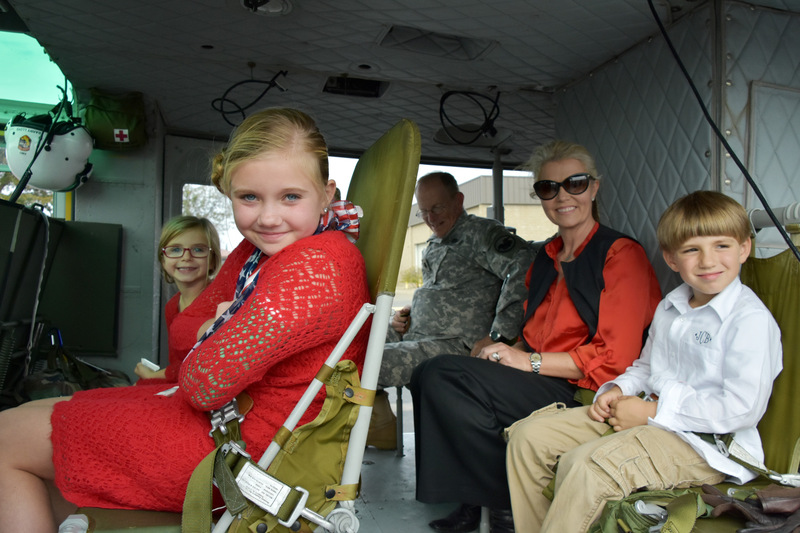 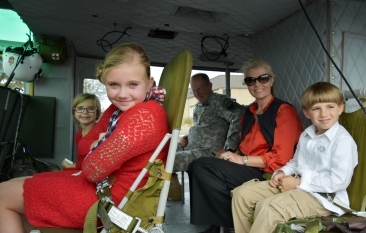 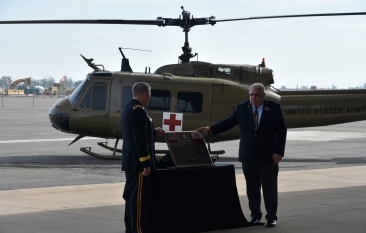 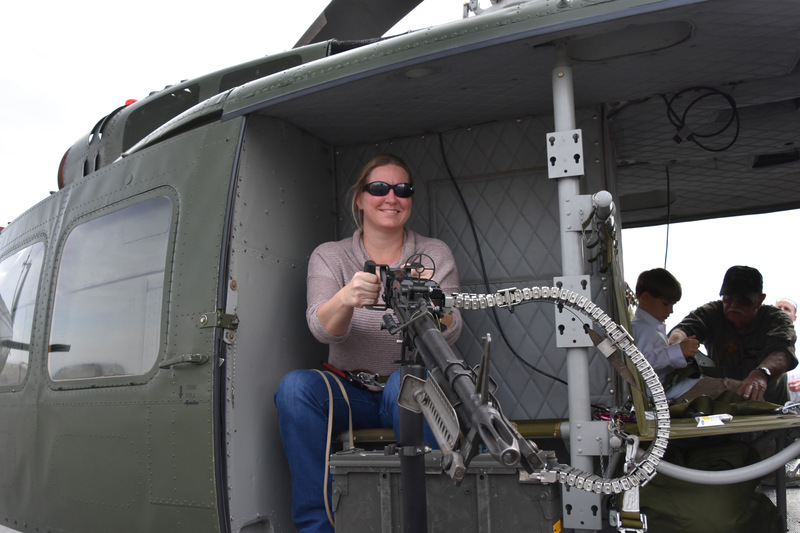 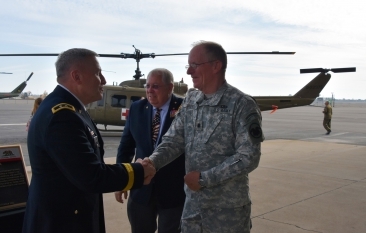 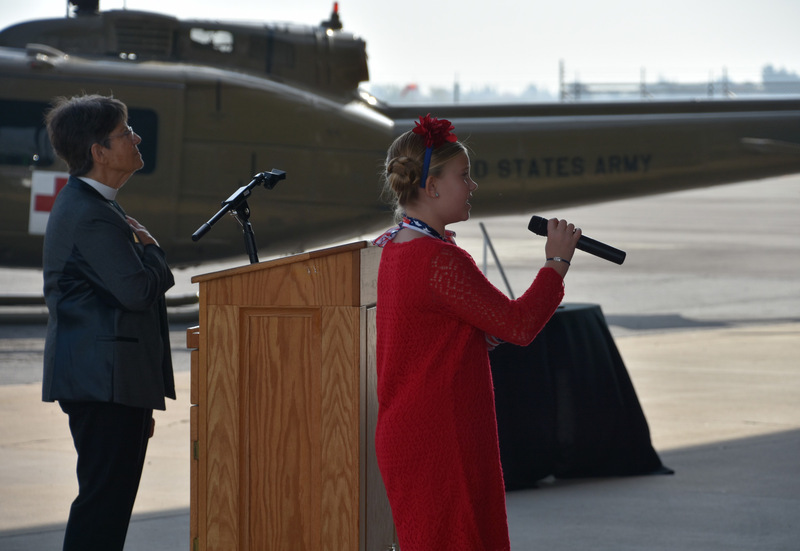 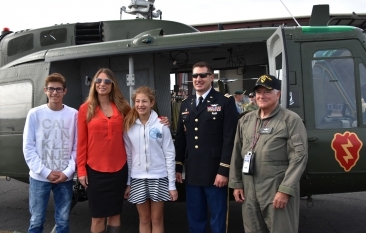 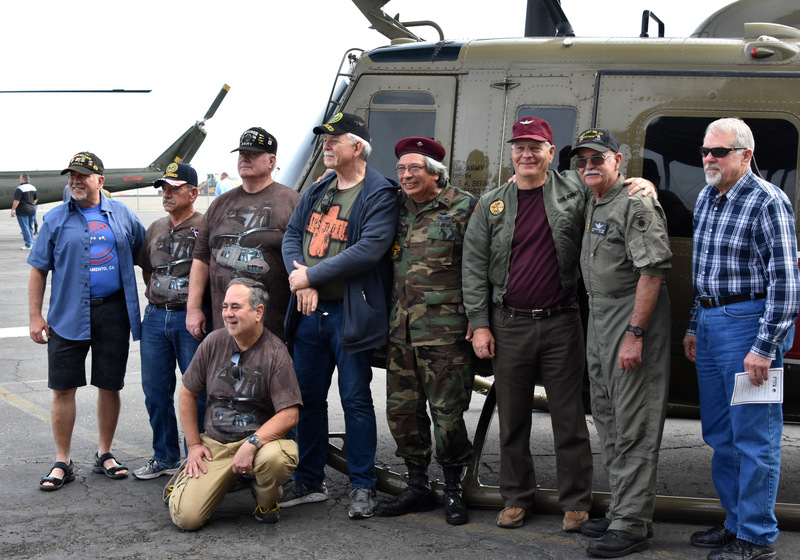 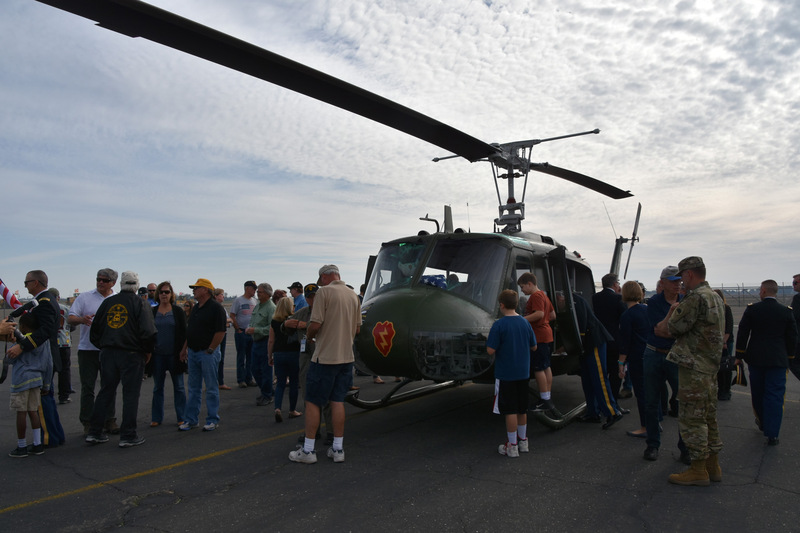 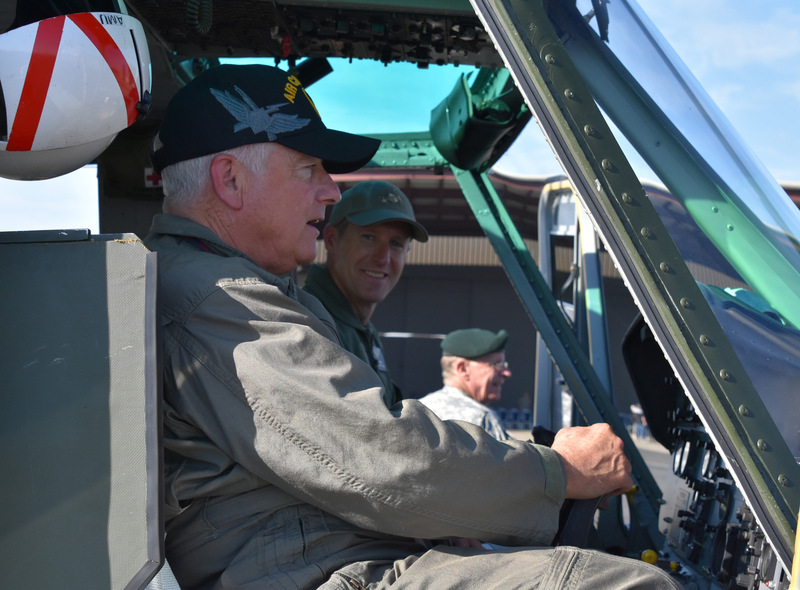 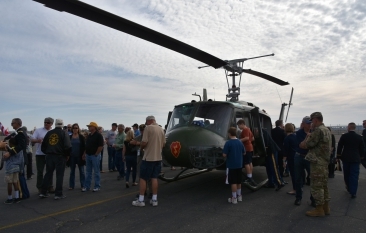 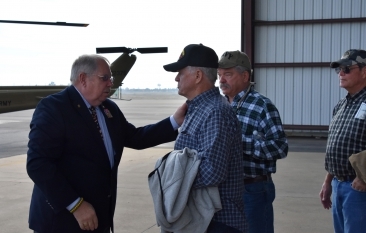 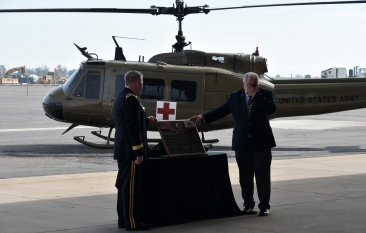 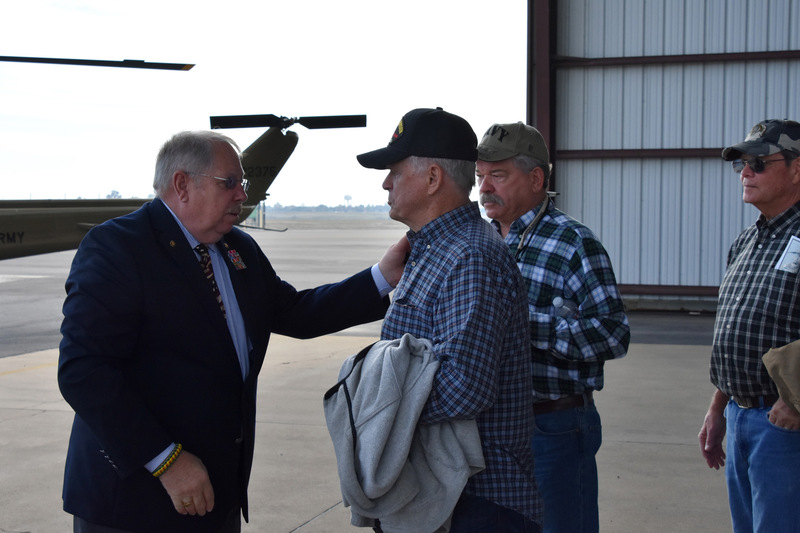 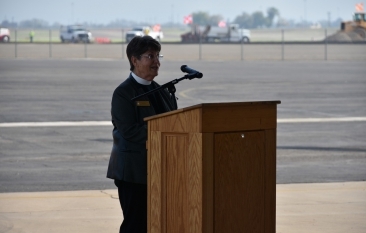 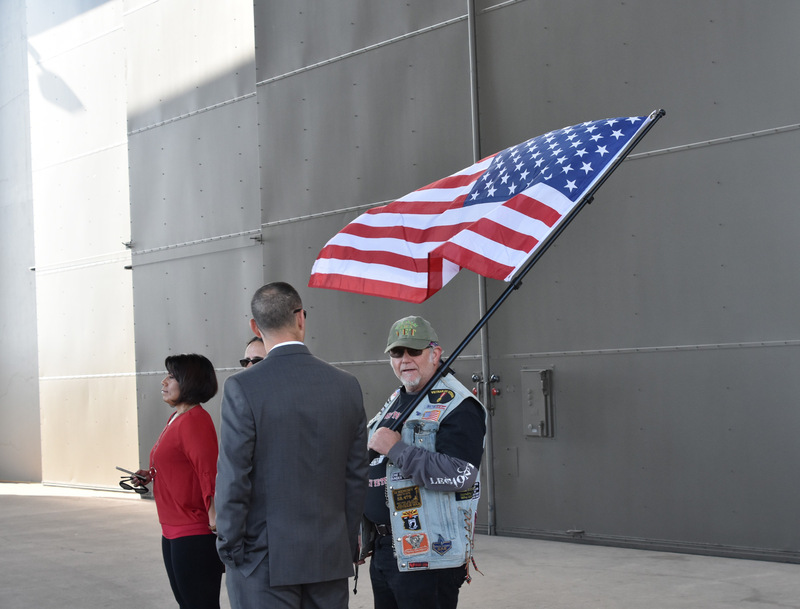 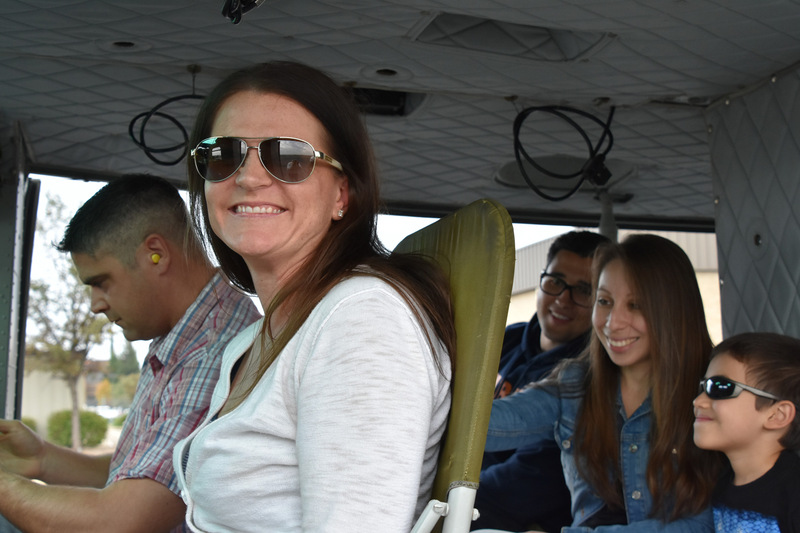 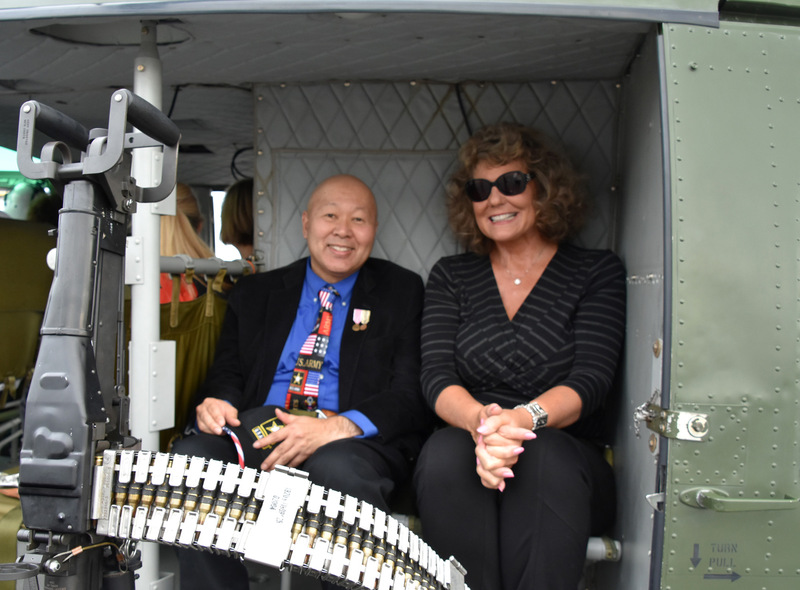 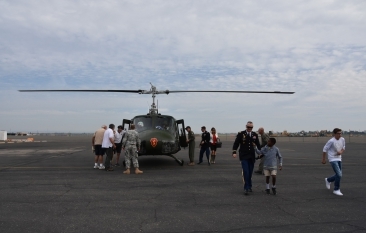 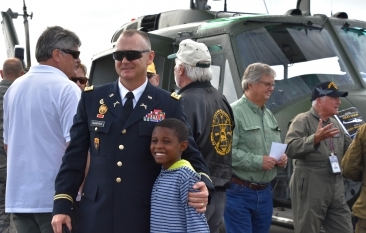 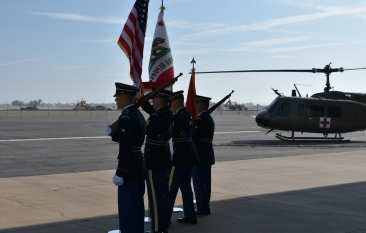 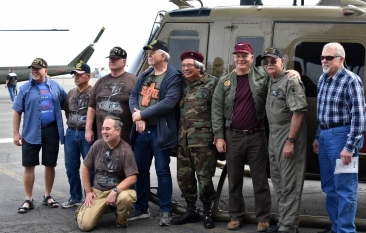 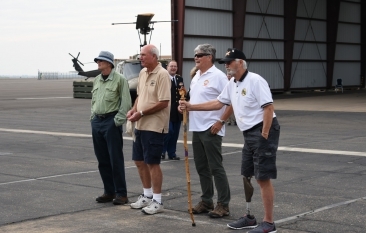 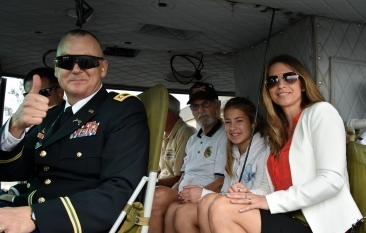 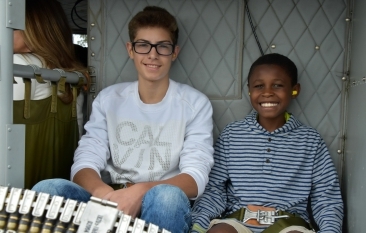 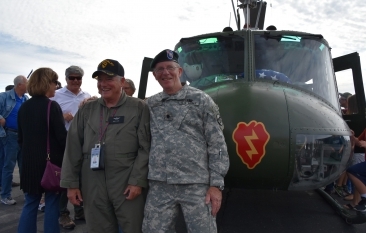 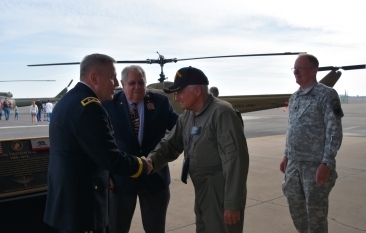 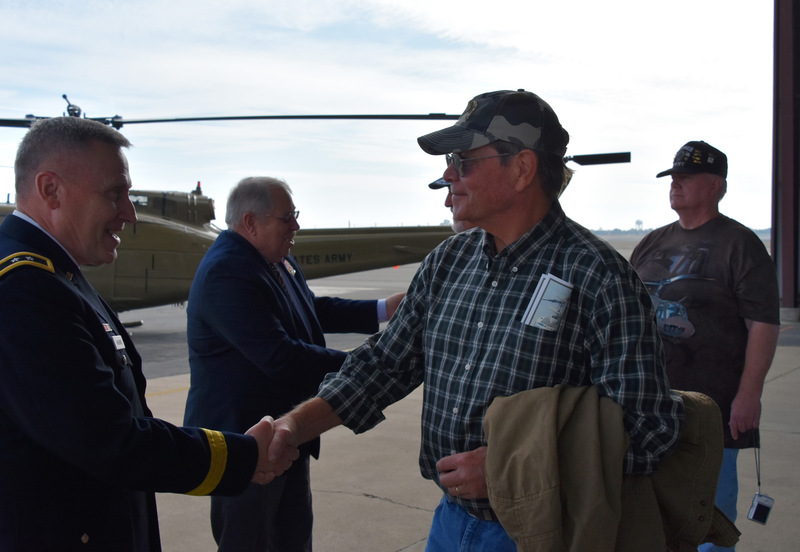 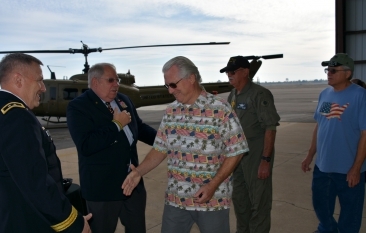 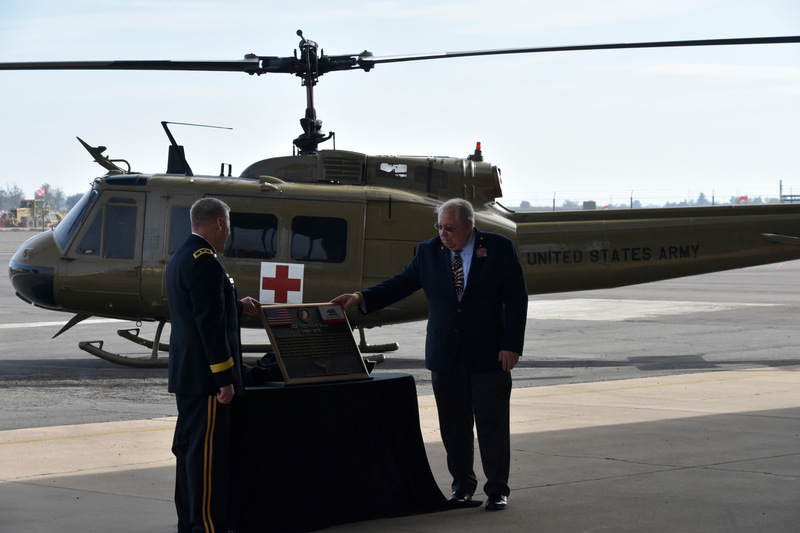 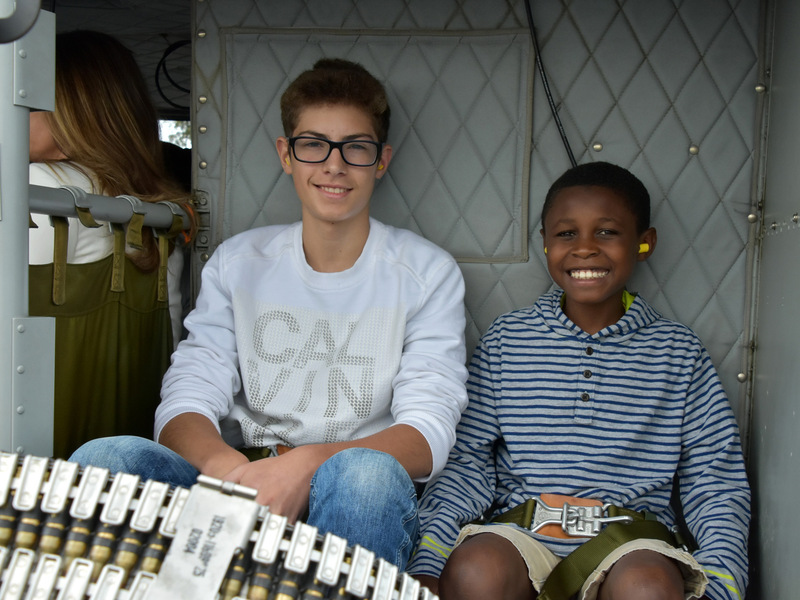 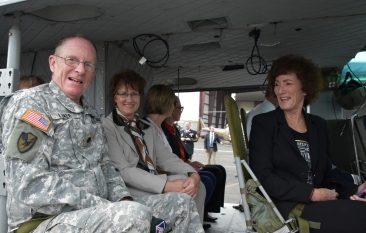 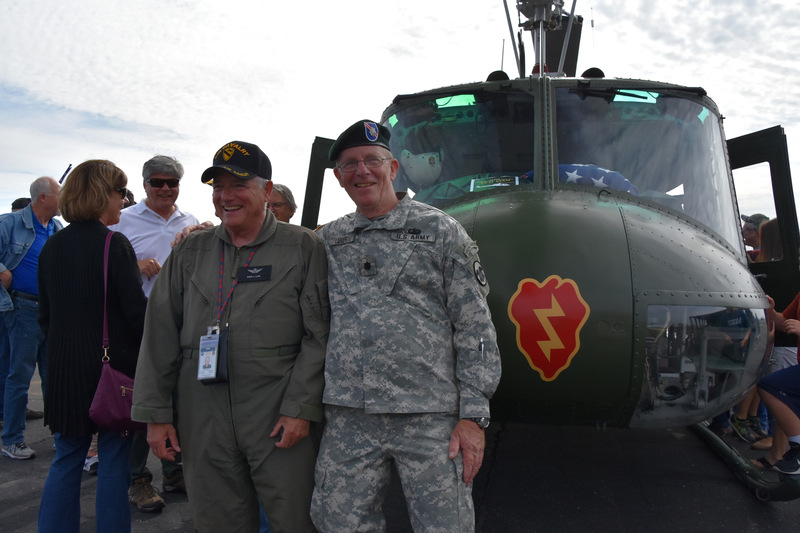 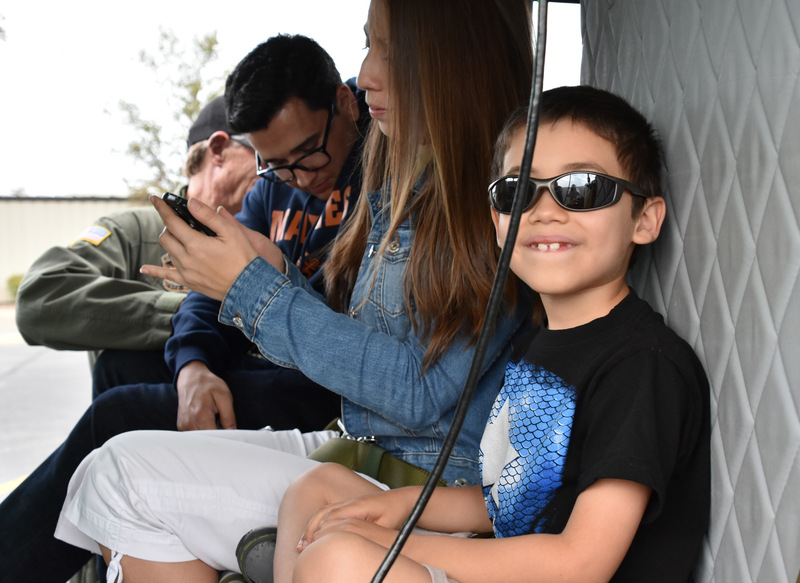 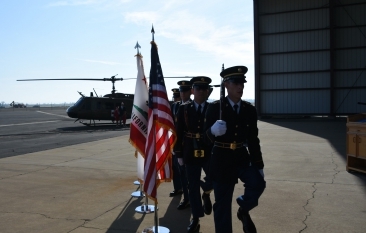 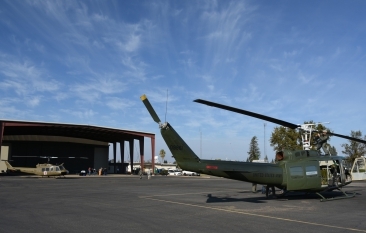 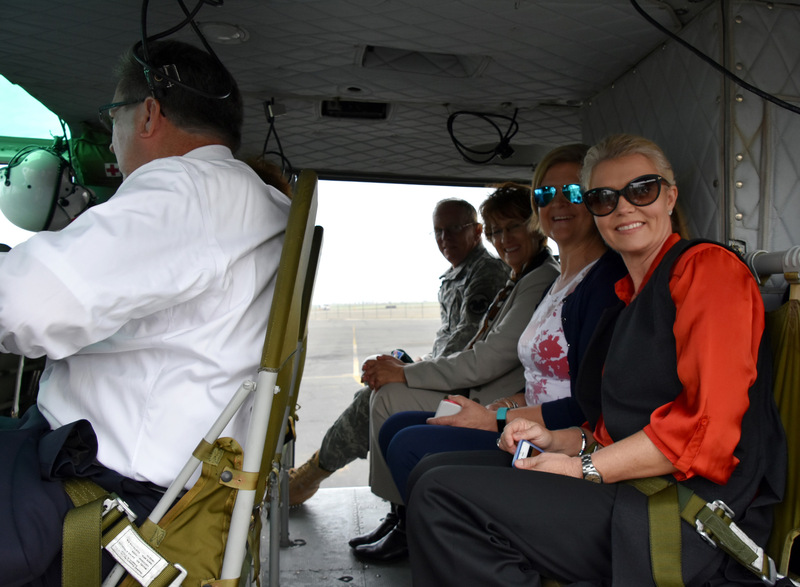 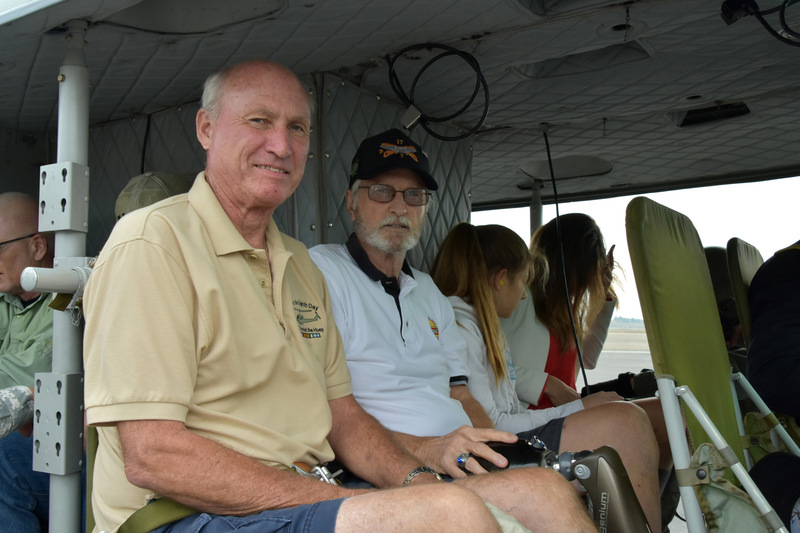 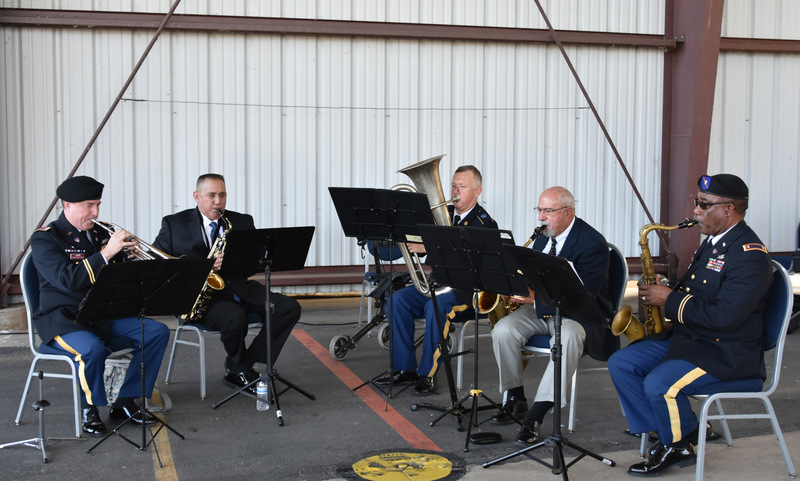 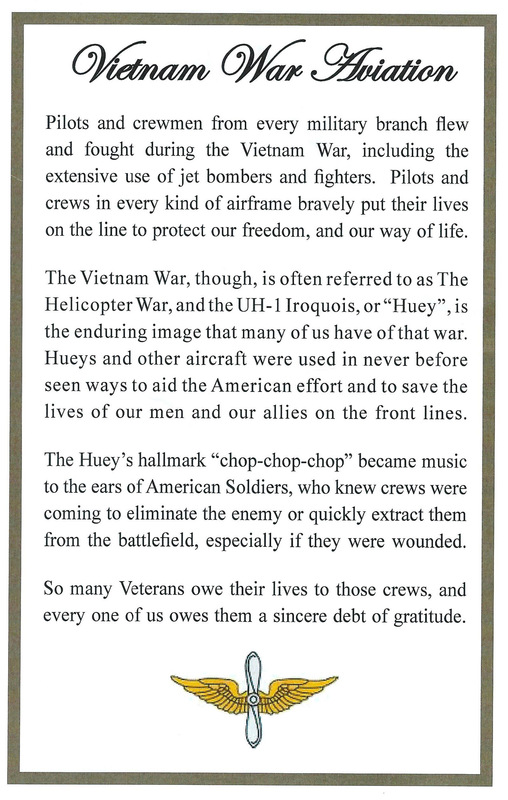 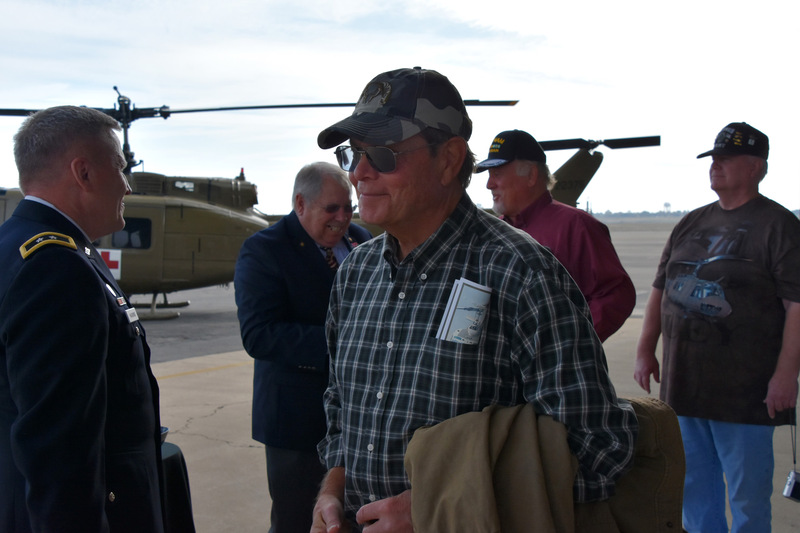 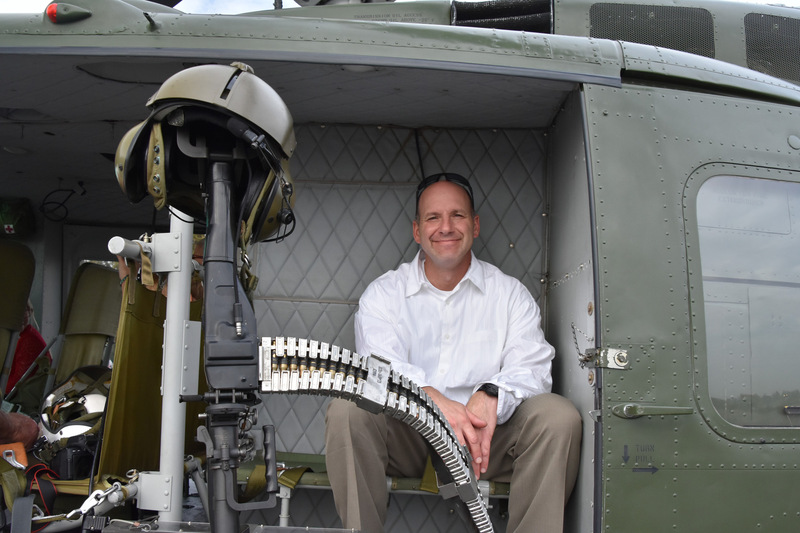 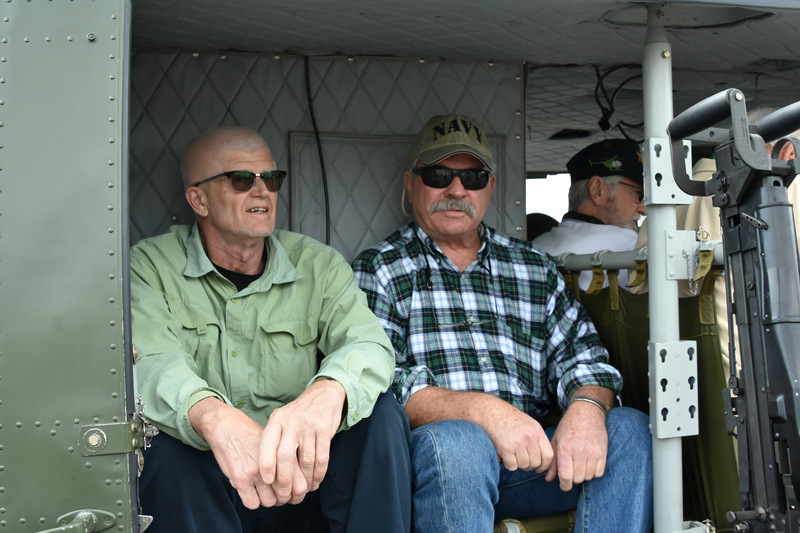 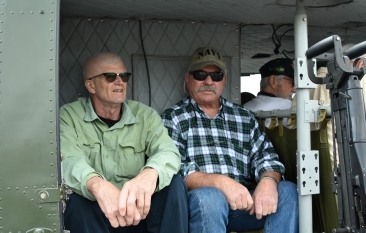 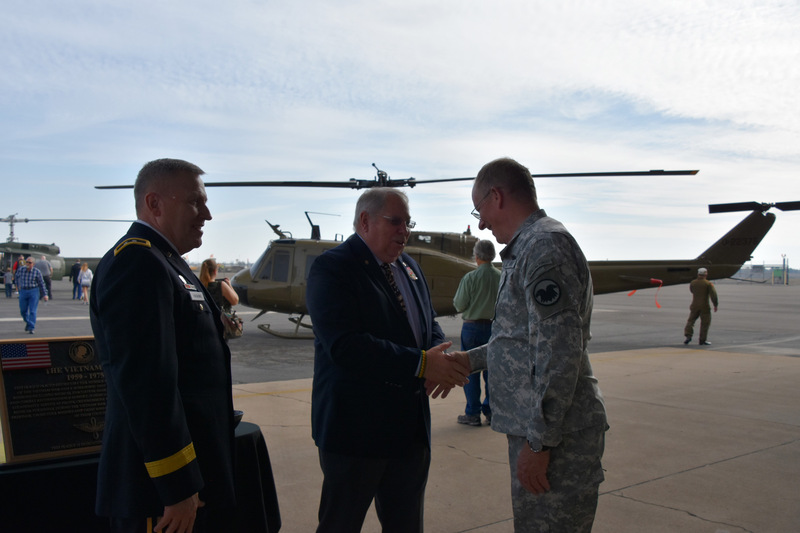 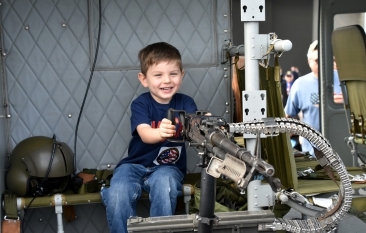 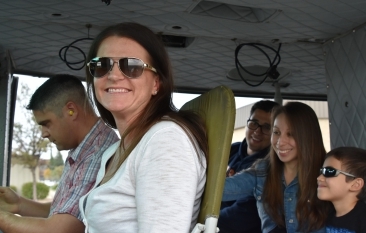 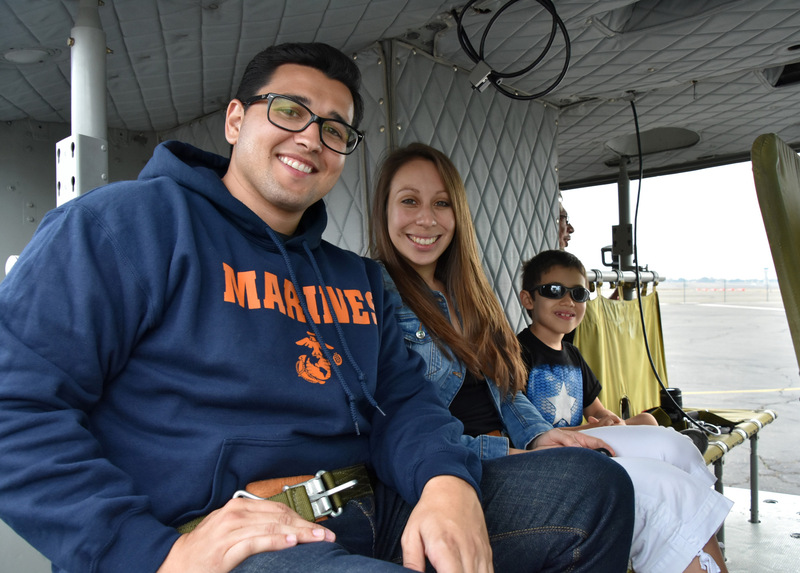 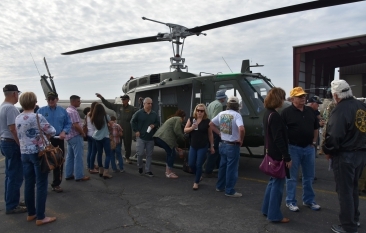 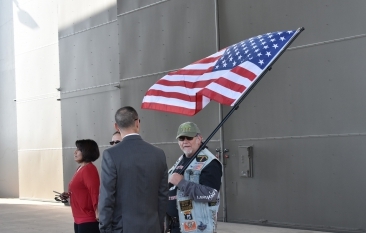 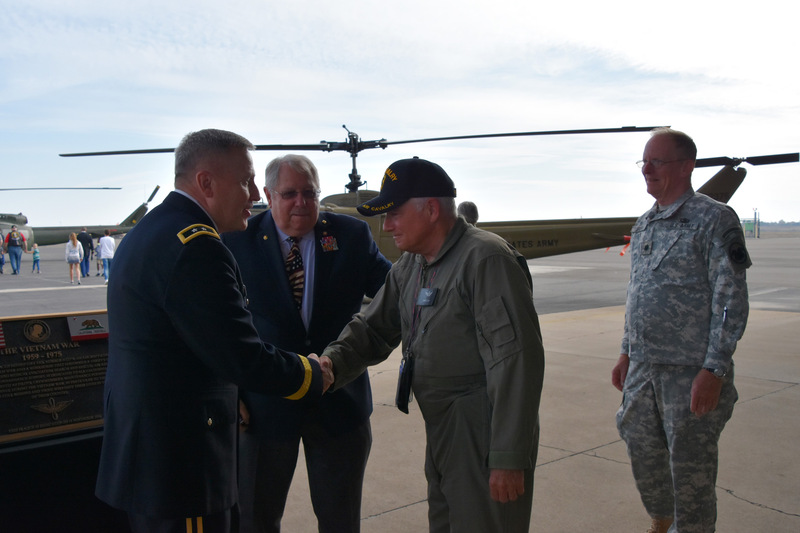 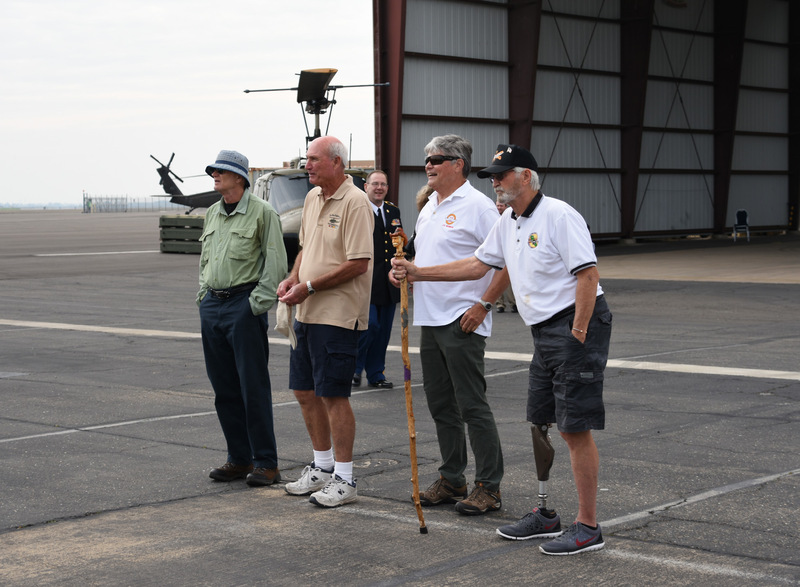 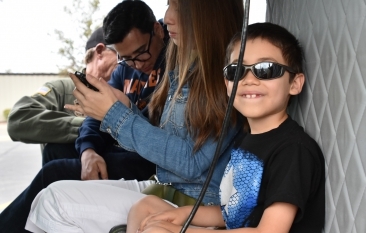 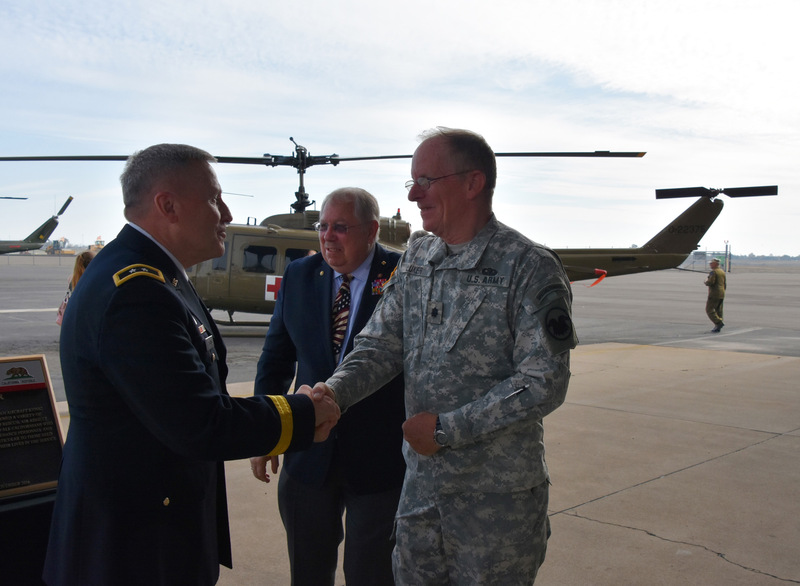 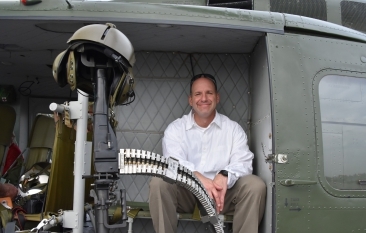 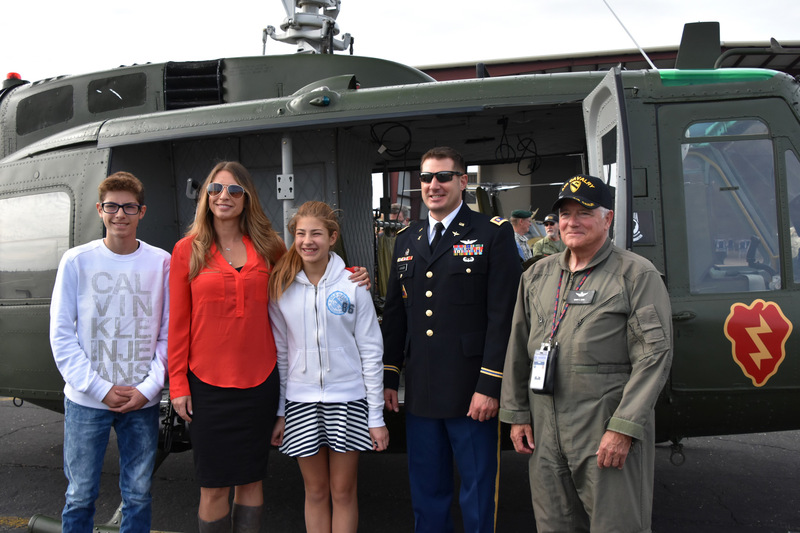 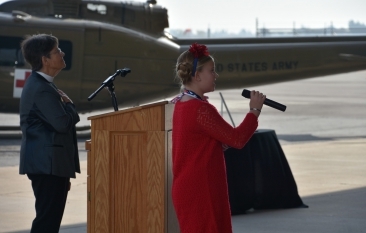 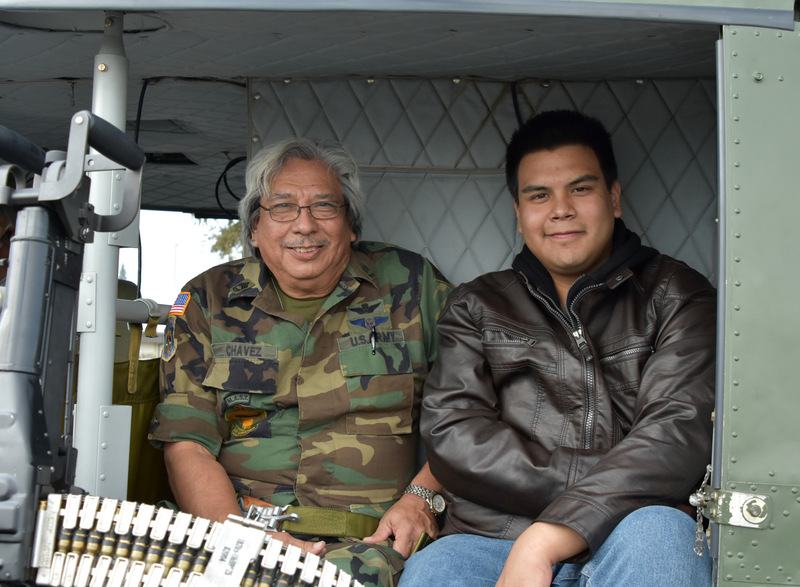 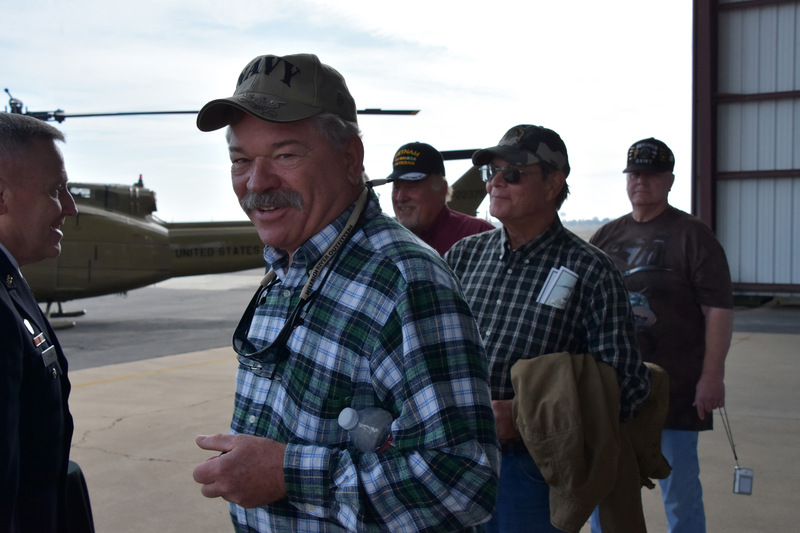 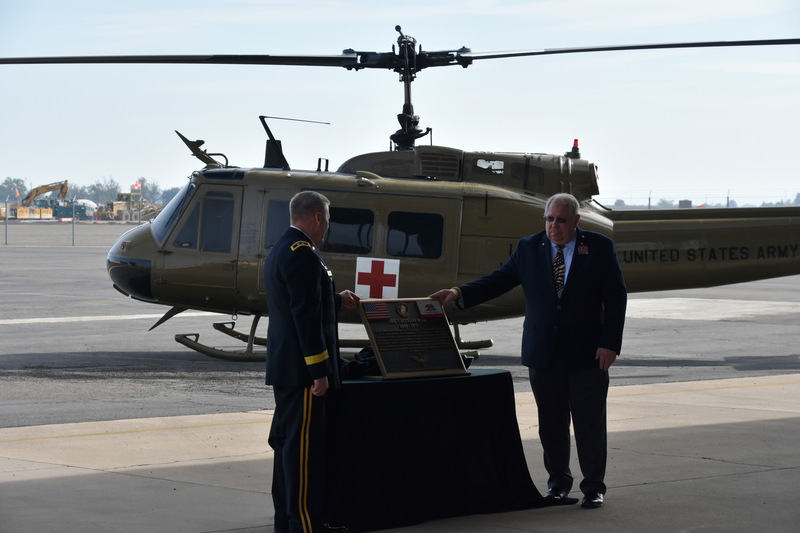 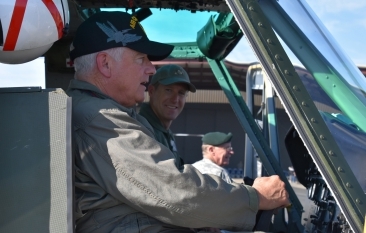 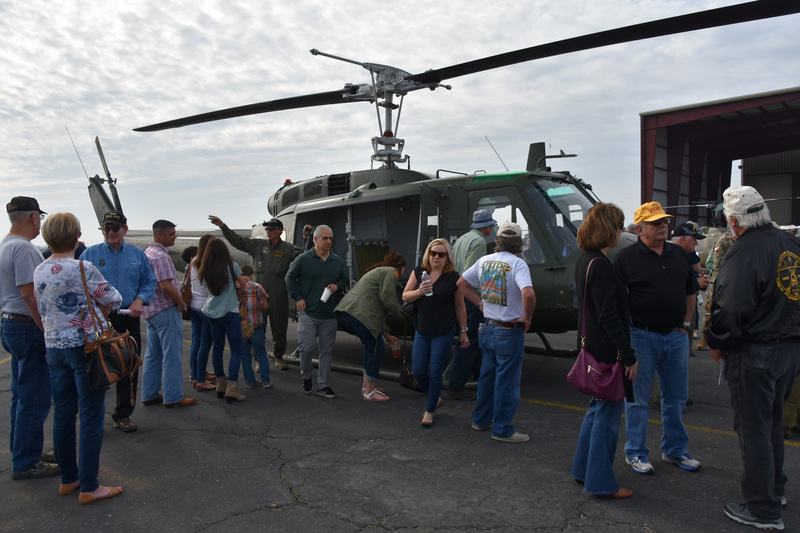 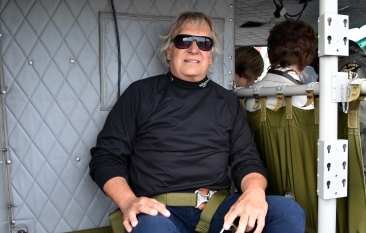 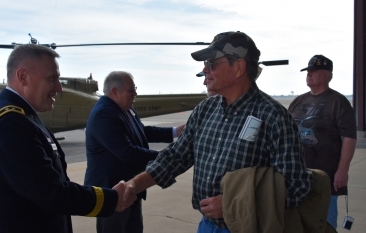 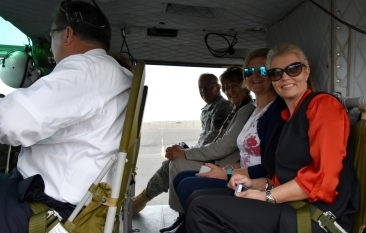 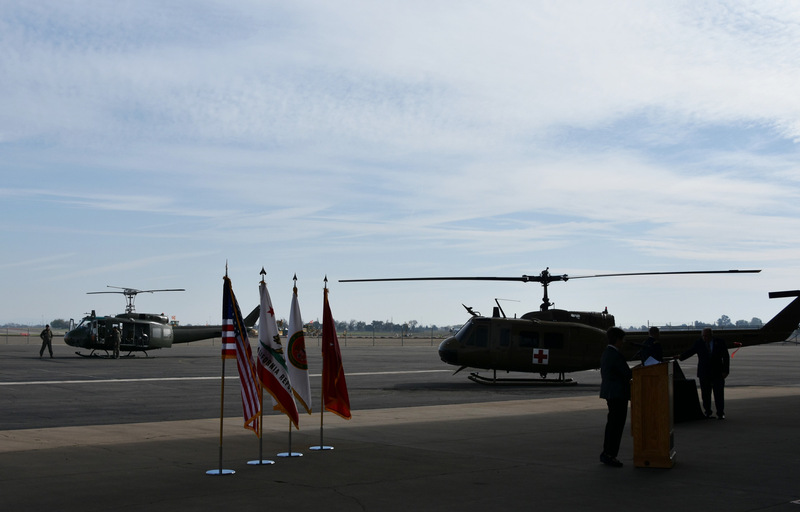 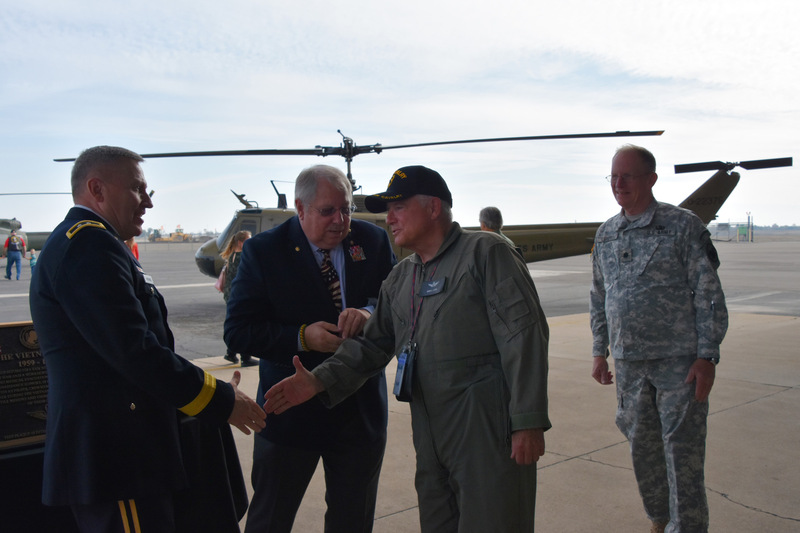 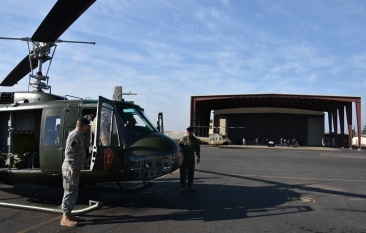 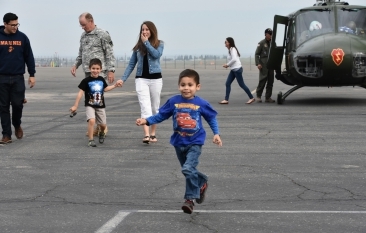 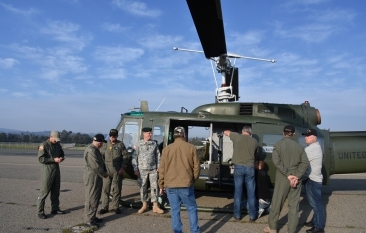 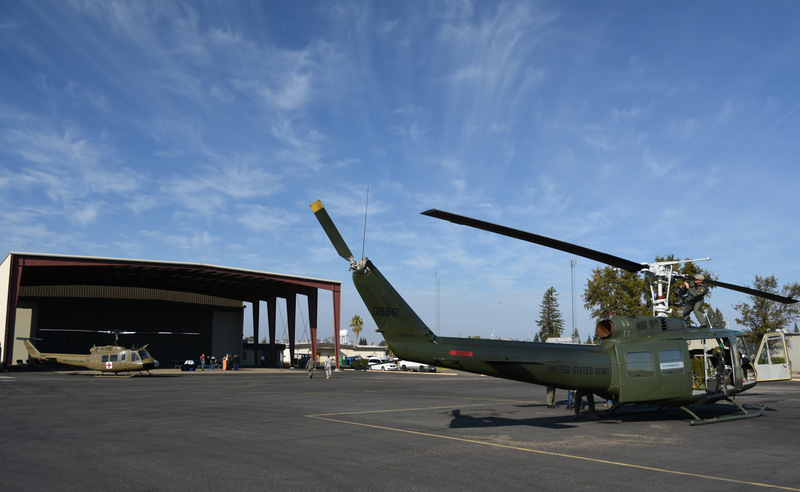 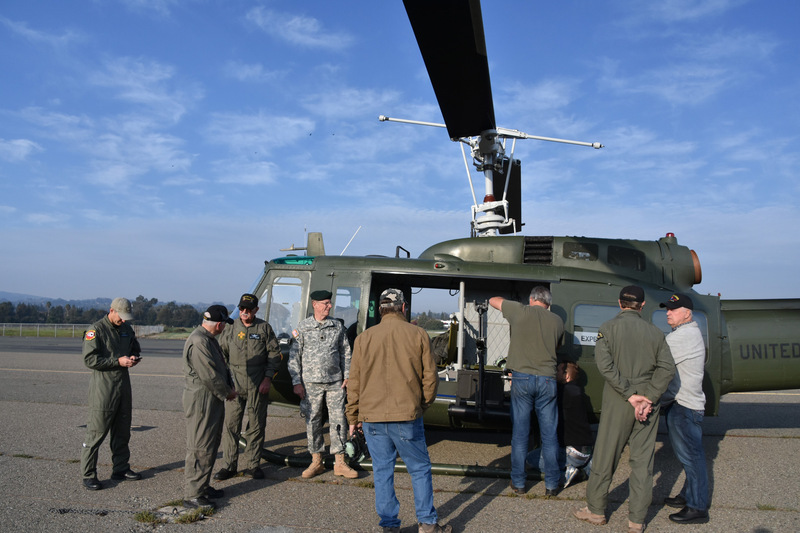 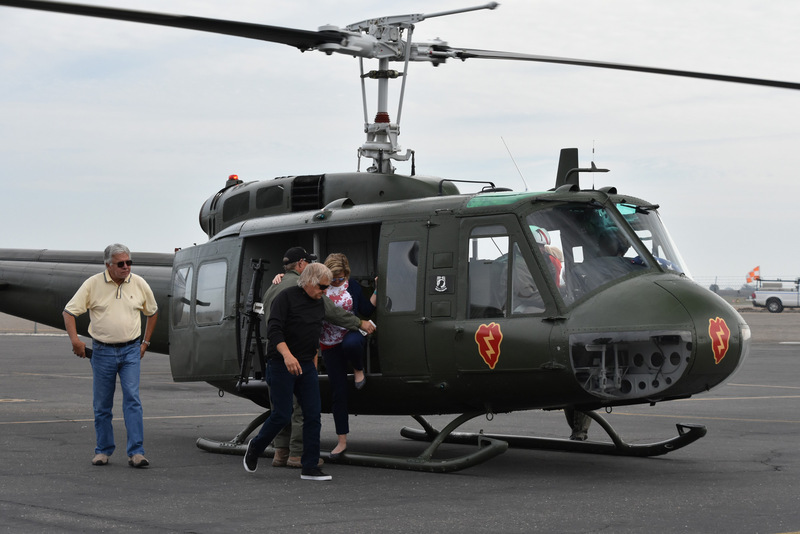 Rides were given to Veterans at the event, where they dedicated a static Huey helicopter and presented a plaque to commemorate Vietnam Pilots & Crew.